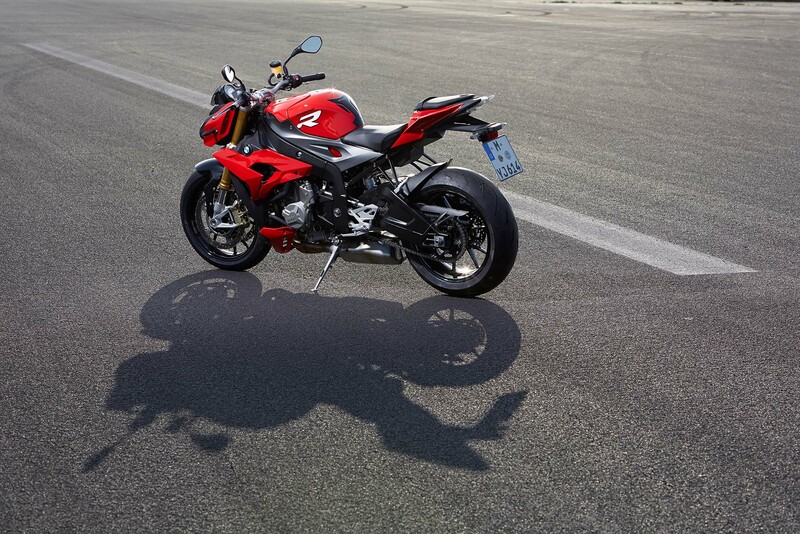 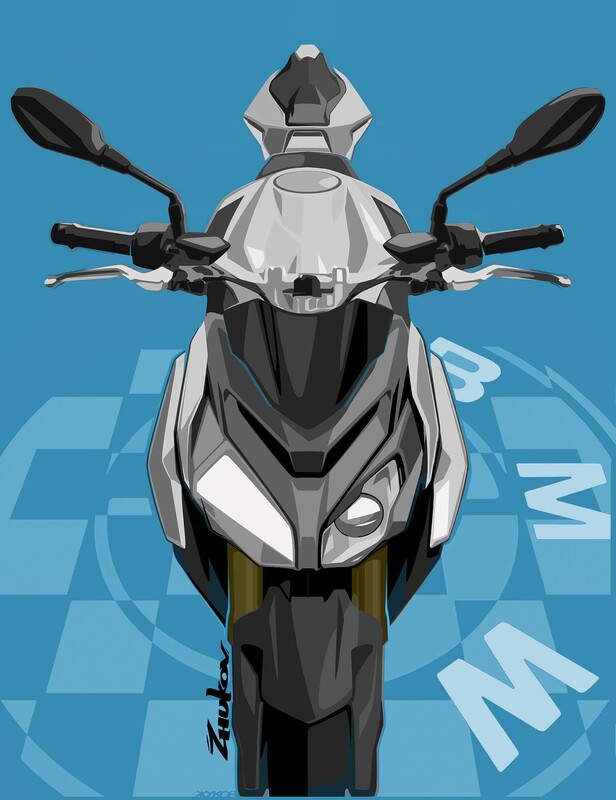 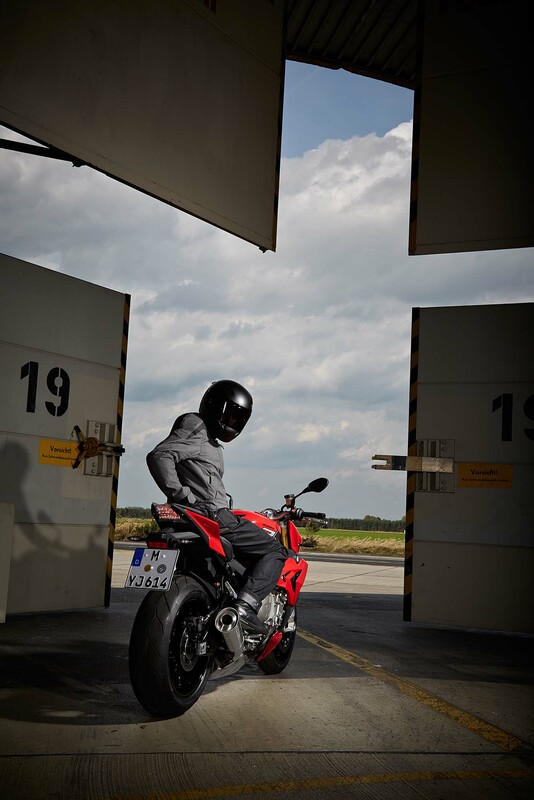 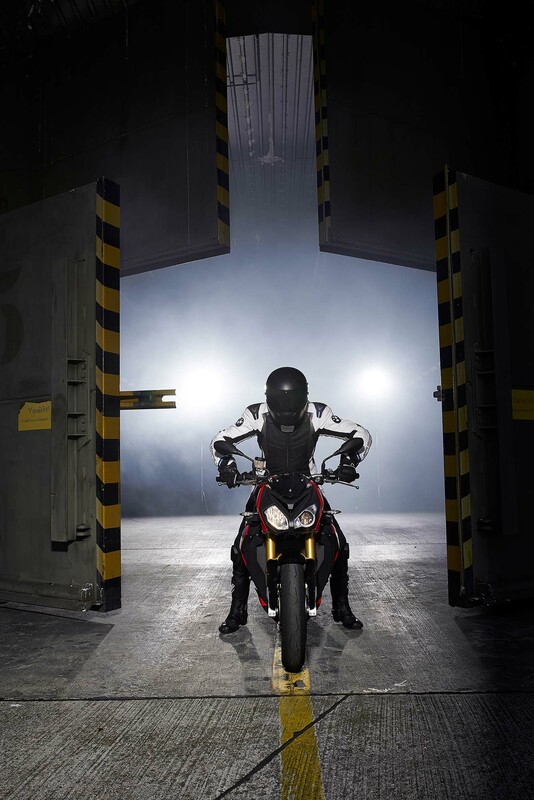 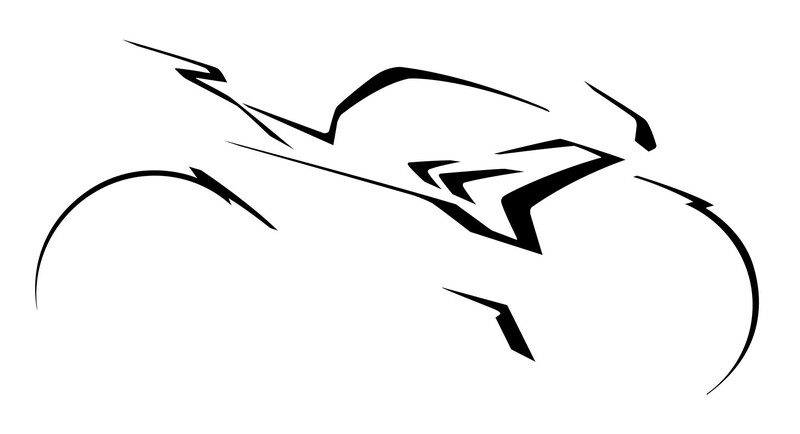 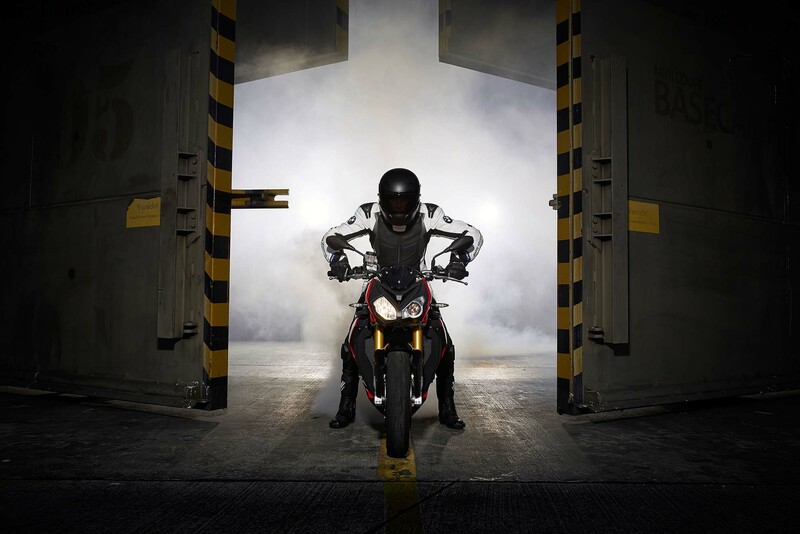 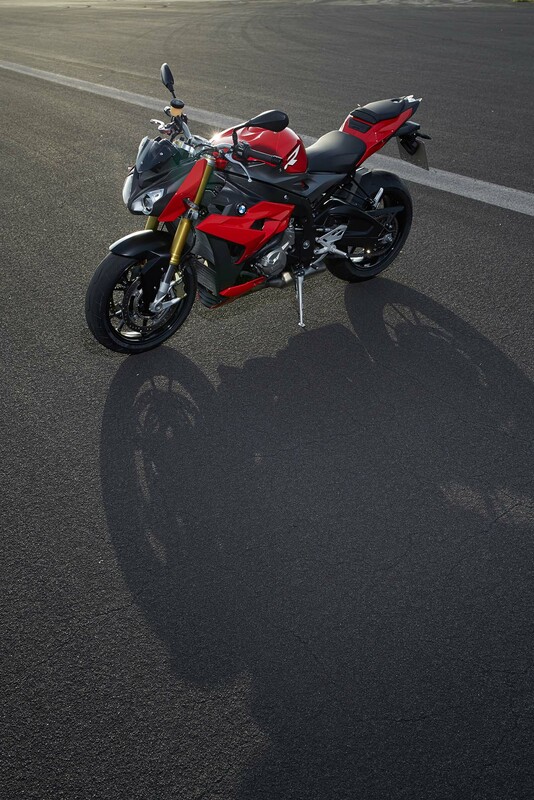 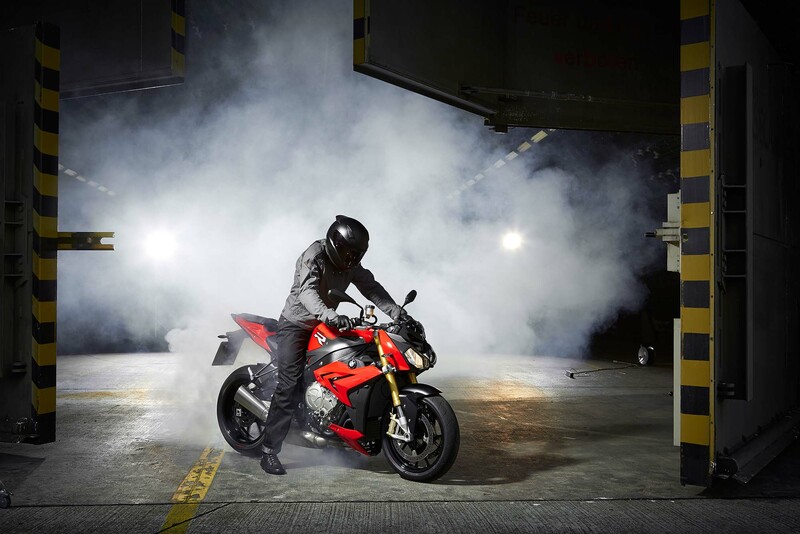 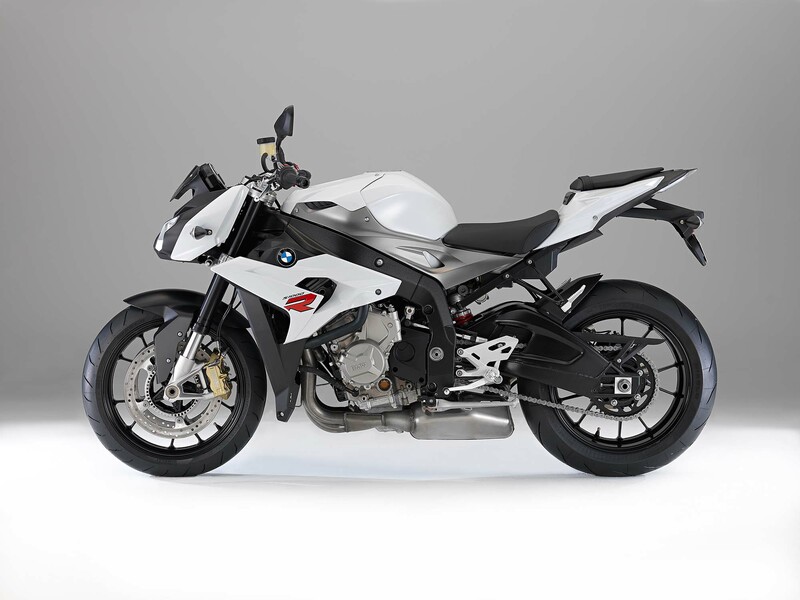 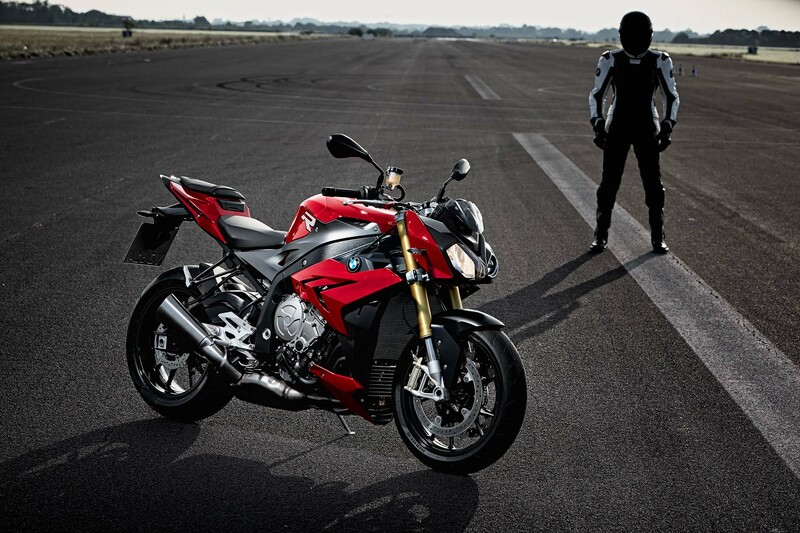 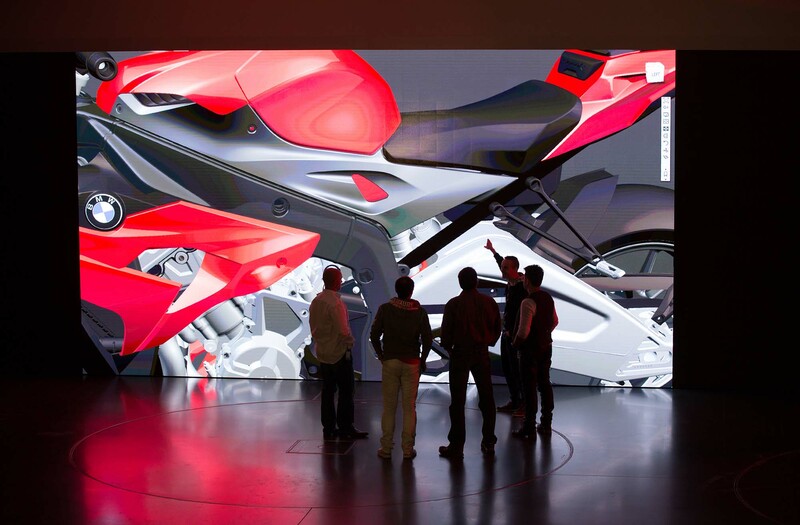 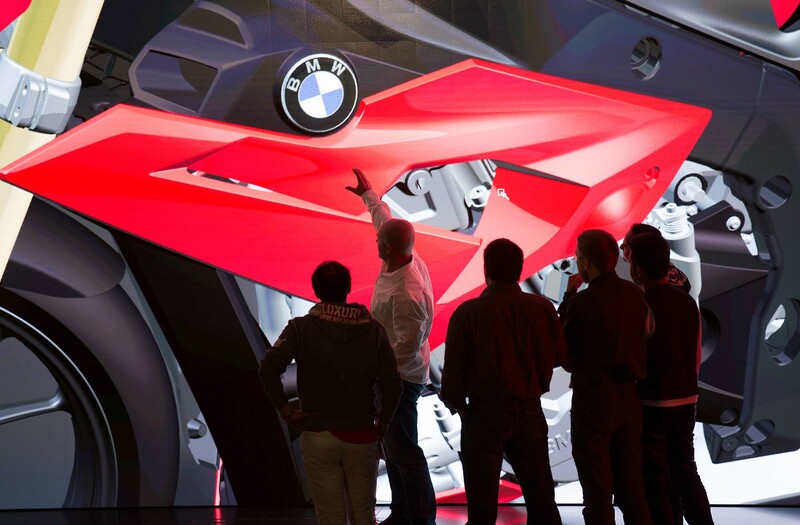 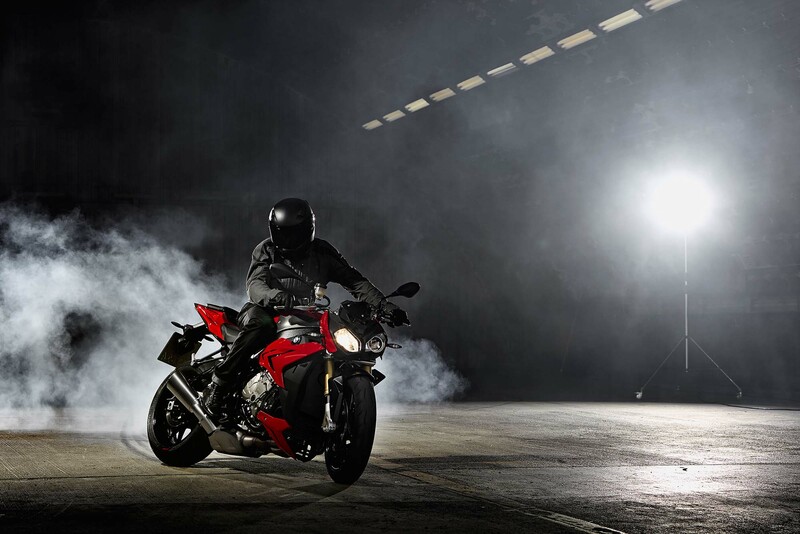 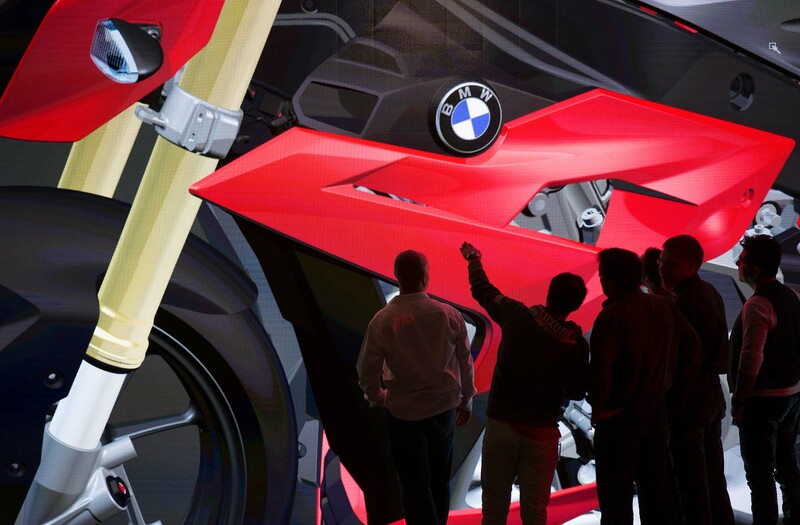 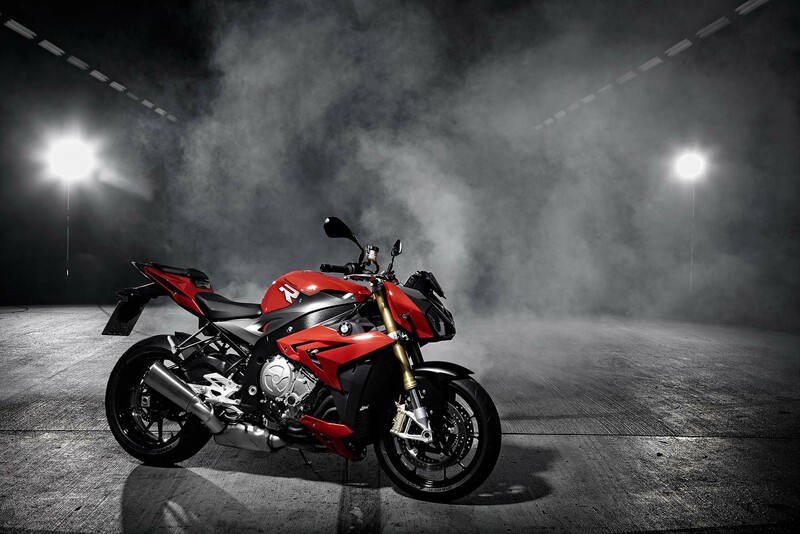 As expected, BMW Motorrad took the wraps off a completely new motorcycle today at the EICMA show, the BMW S1000R. 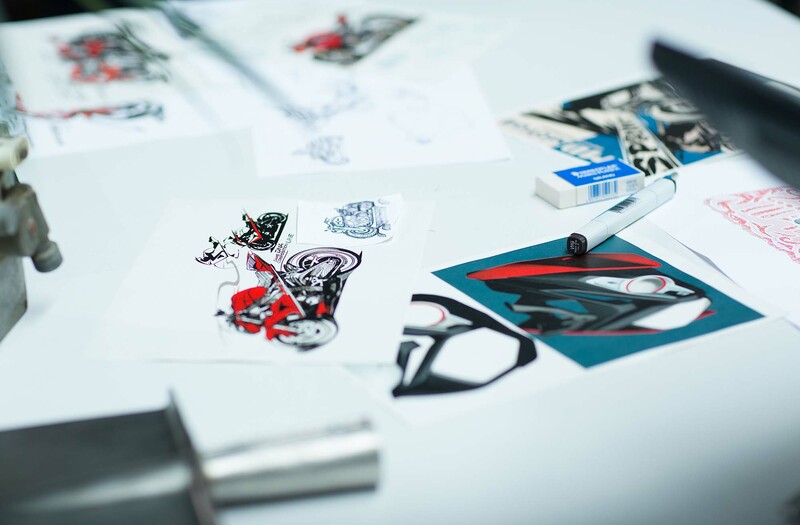 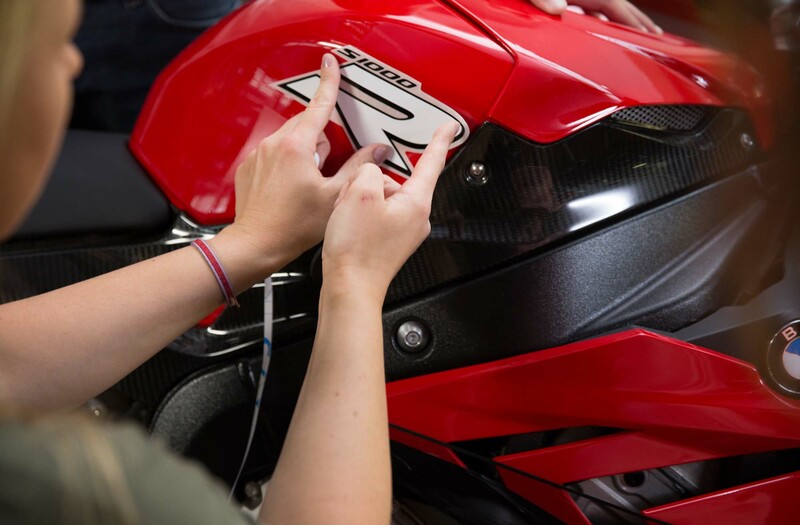 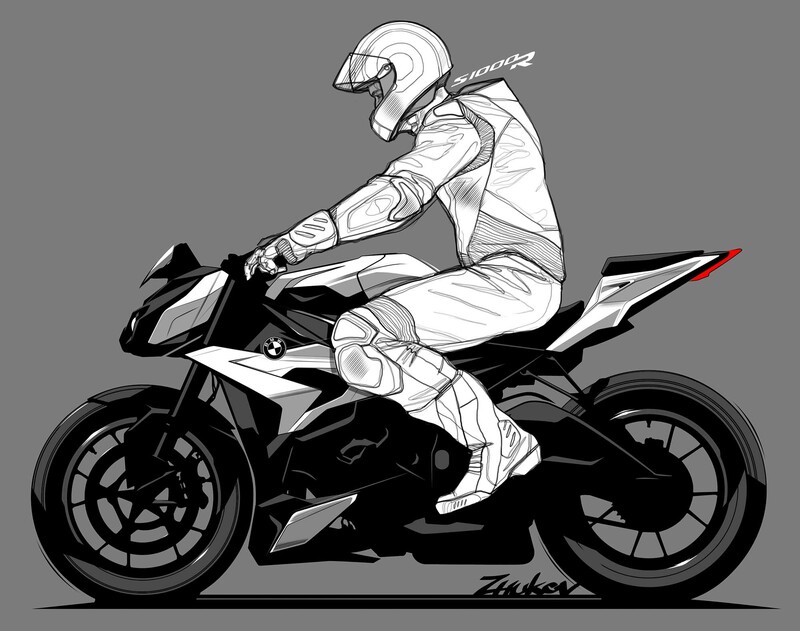 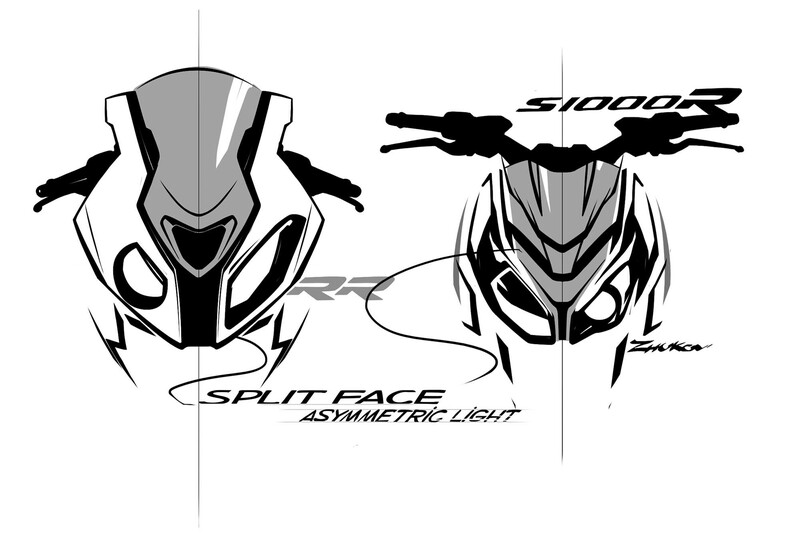 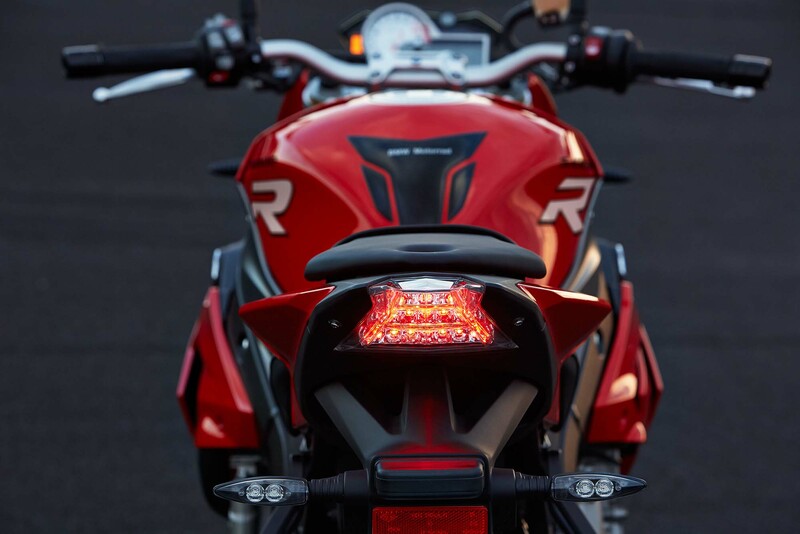 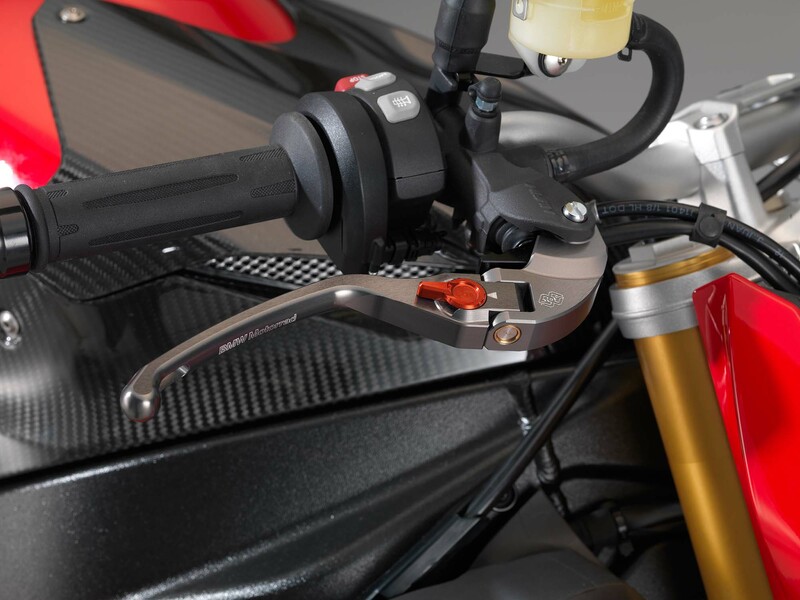 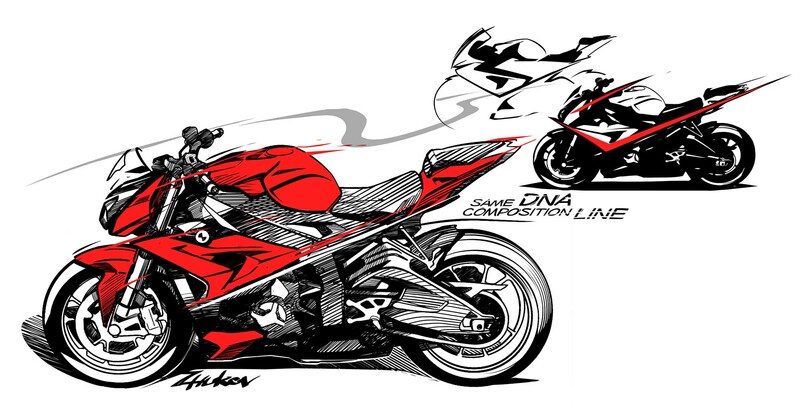 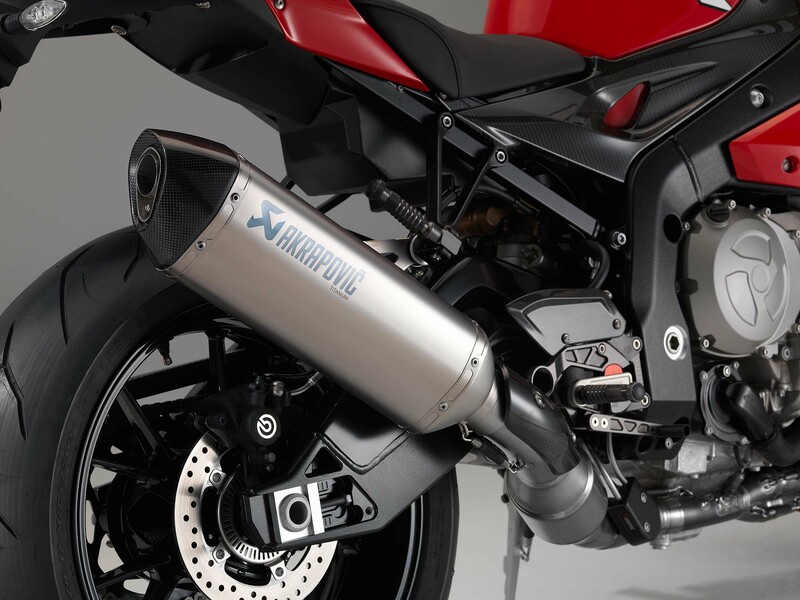 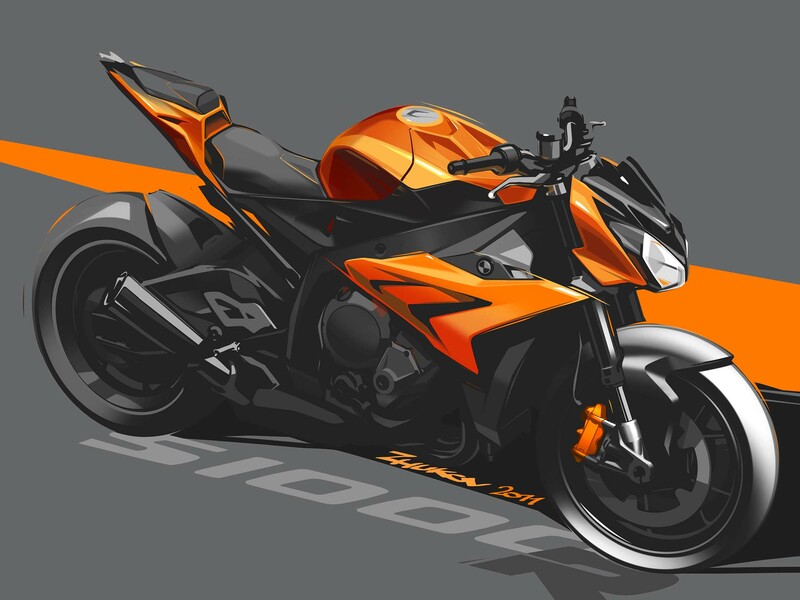 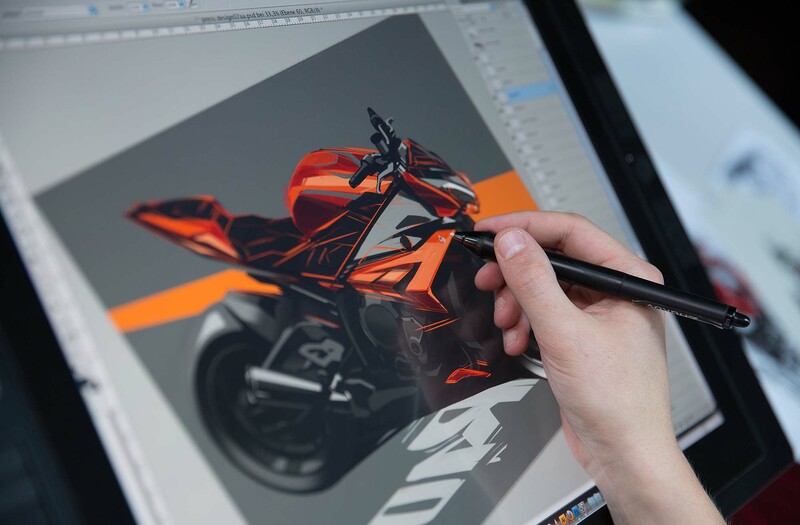 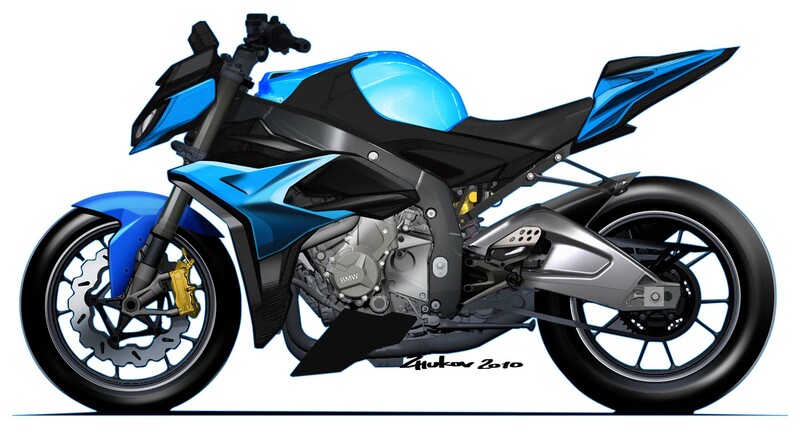 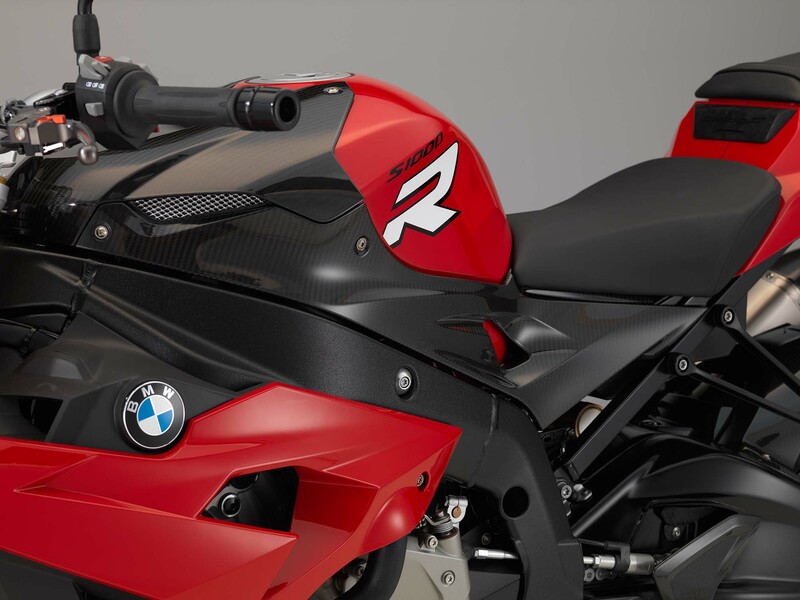 A streetfighter version of the venerable BMW S1000RR superbike, the S1000R drops an “R” from its name along with roughly 30hp, with the naked bike sporting a 160hp peak figure — primarily due to a redline that is 2,000 rpm less than the S1000RR. 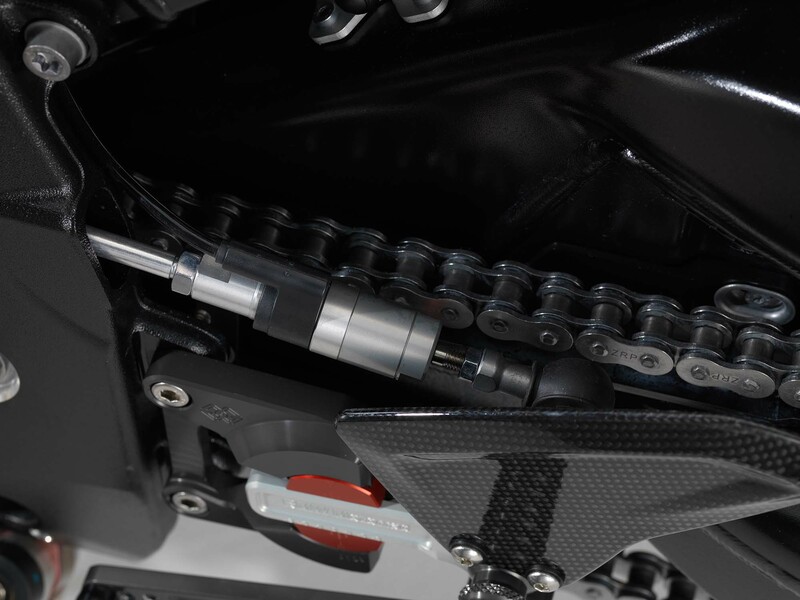 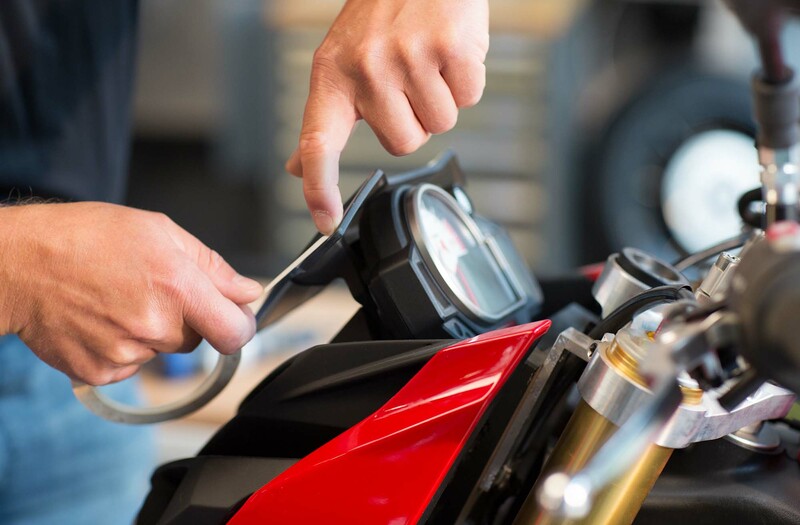 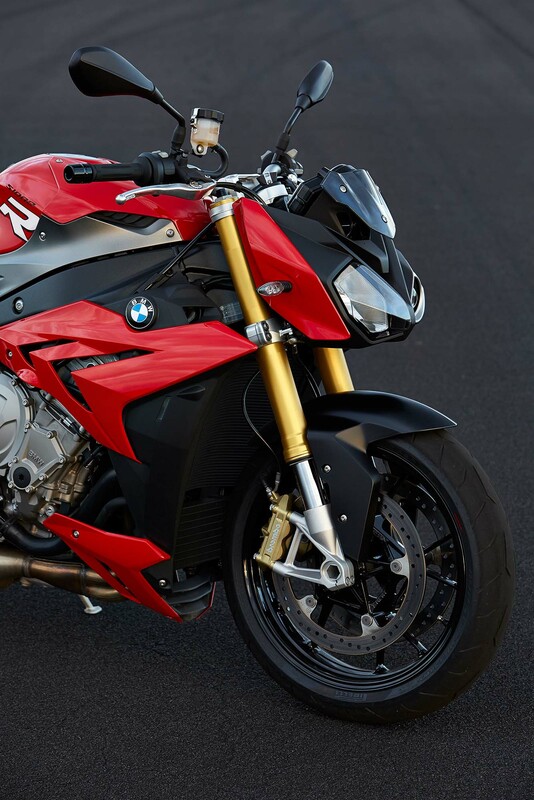 Build the 999cc inline-four motor for low-end and mid-range torque, rather the maximum peak horsepower, BMW says that the S1000R makes 7 lbs•ft more torque than the S1000RR, all the way up to 7,500 rpm. 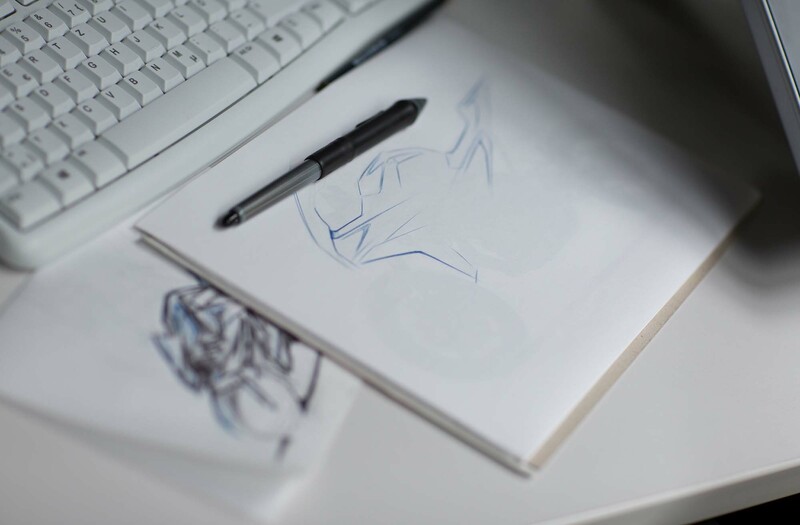 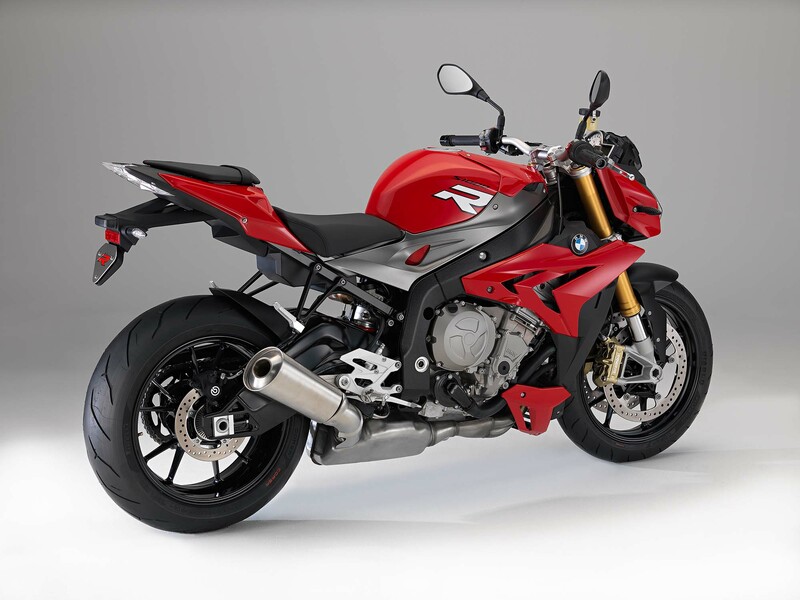 With a peak torque figure of 83 lbs•ft at 9,250 rpm, the BMW S1000R is now slouch, though with it tipping the scales at 456 lbs (207kg) — the 2014 BMW S1000R is few pounds heavier than its predecessor. 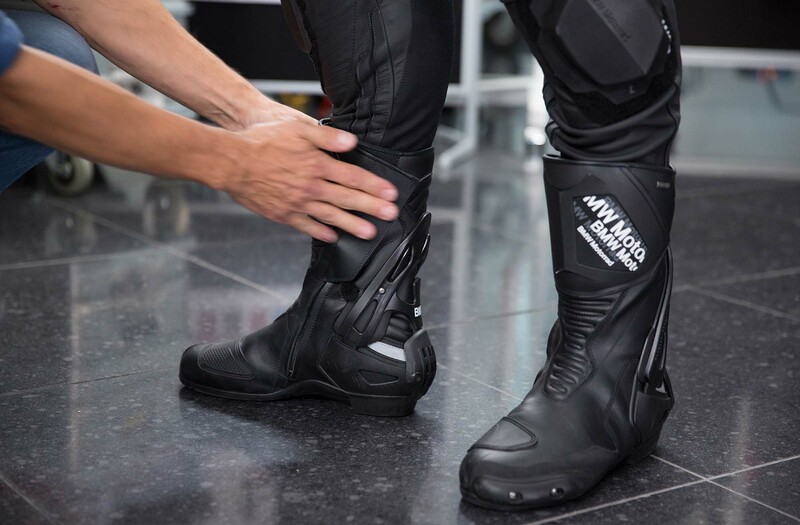 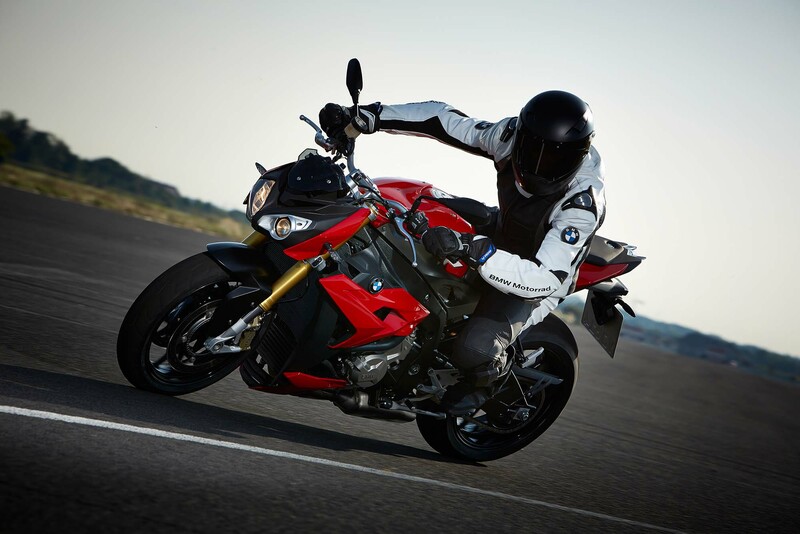 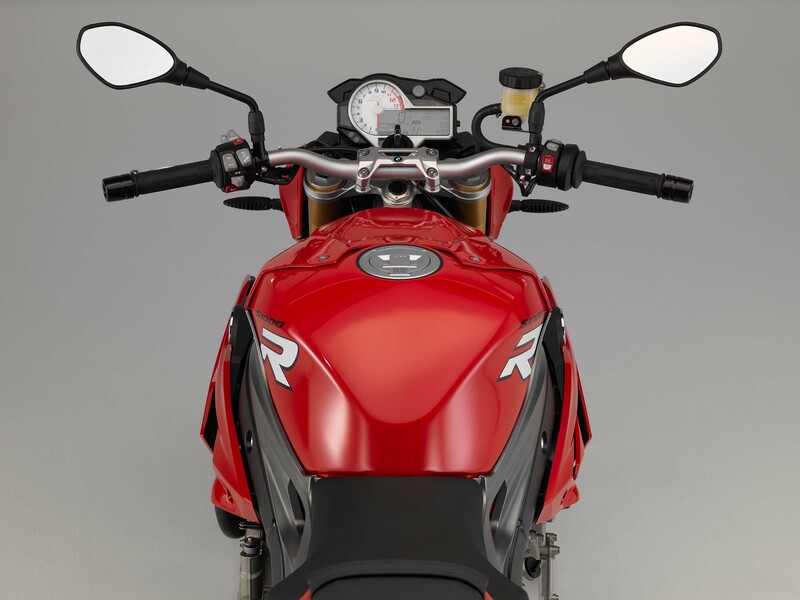 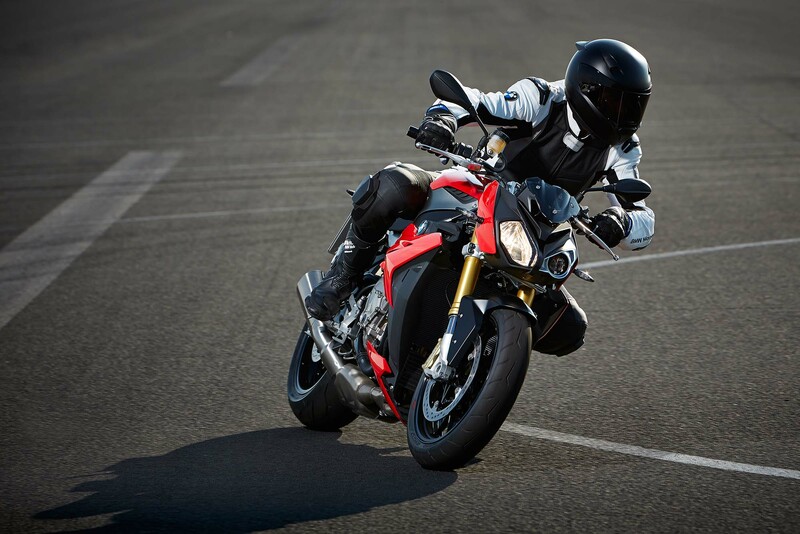 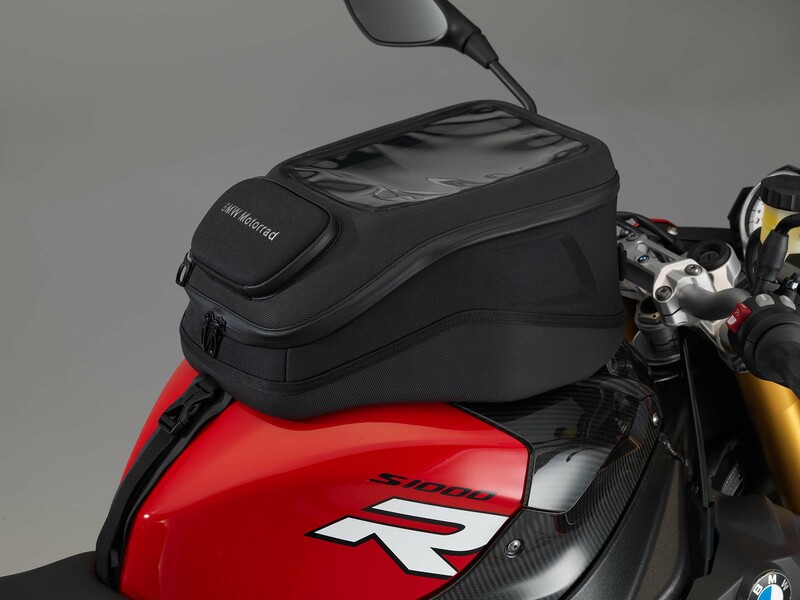 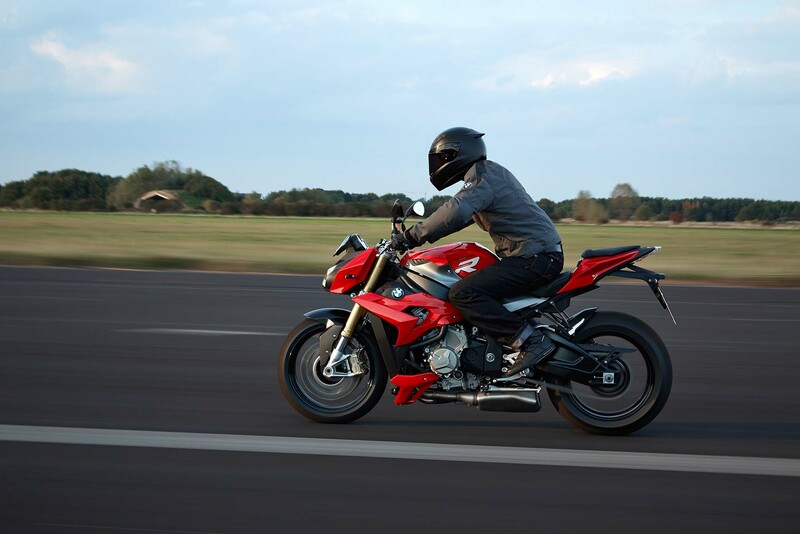 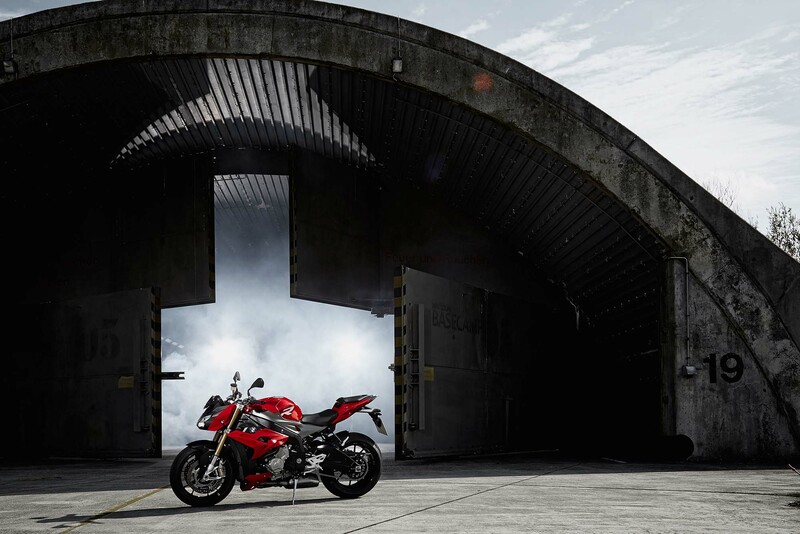 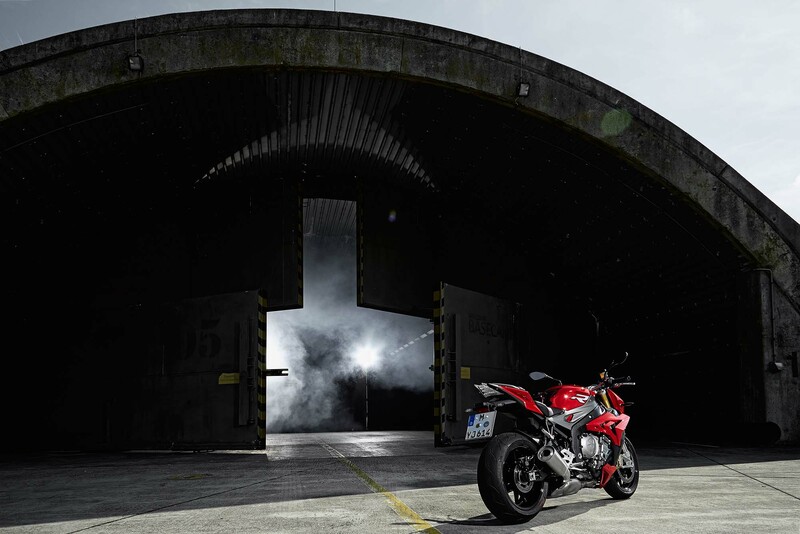 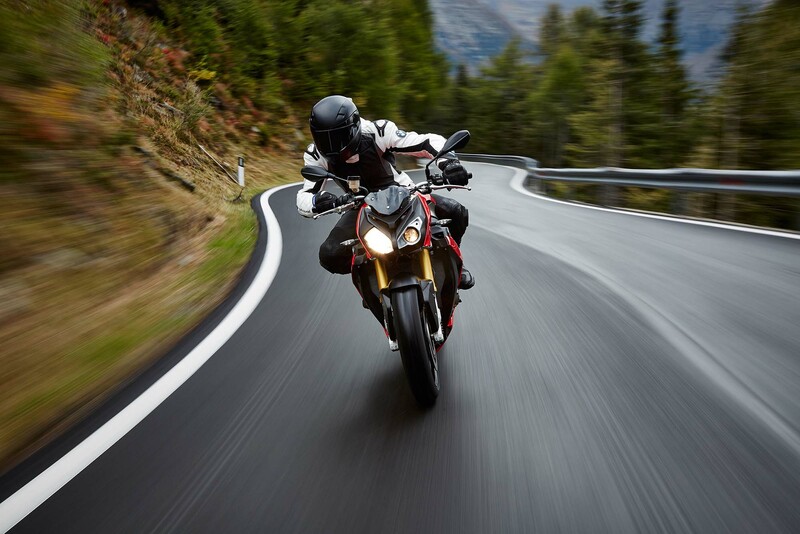 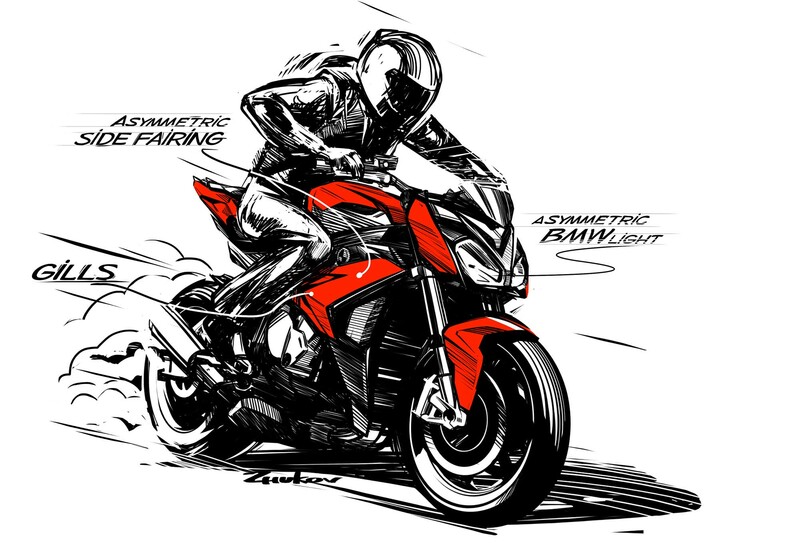 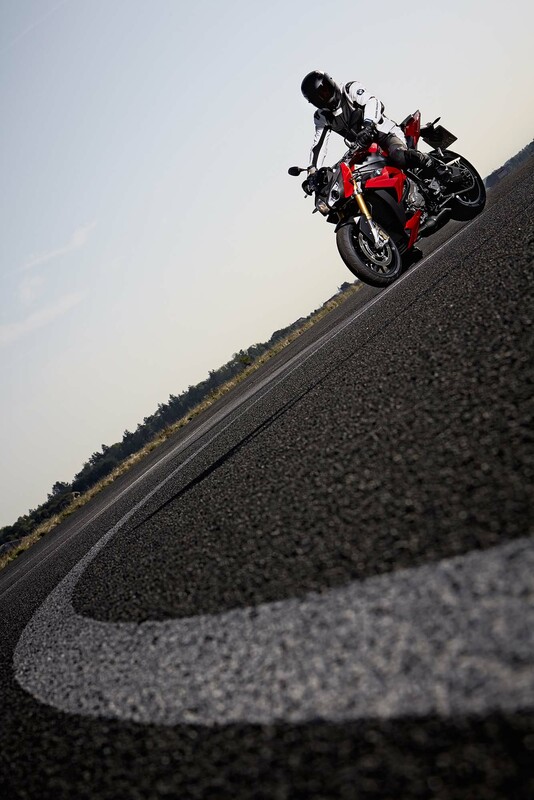 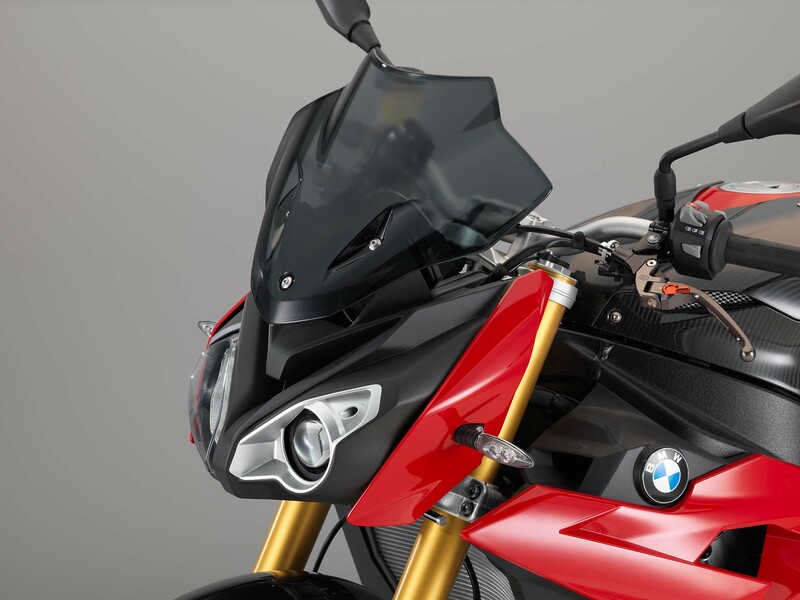 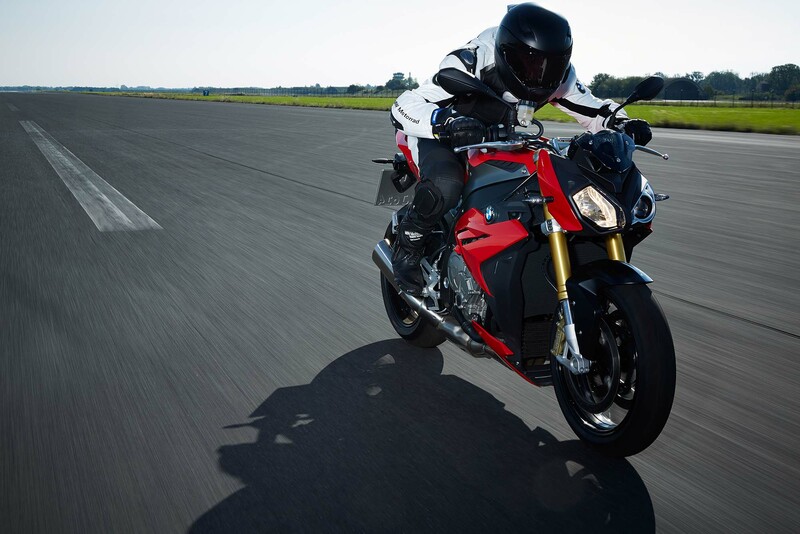 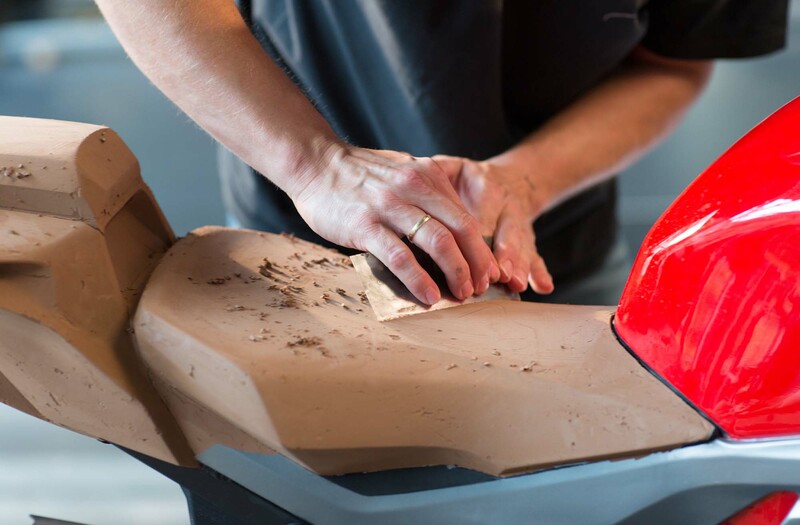 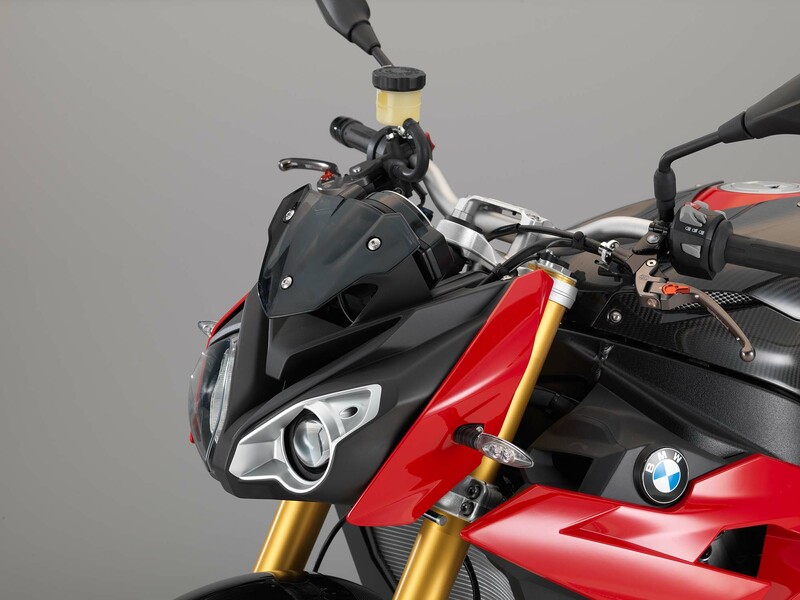 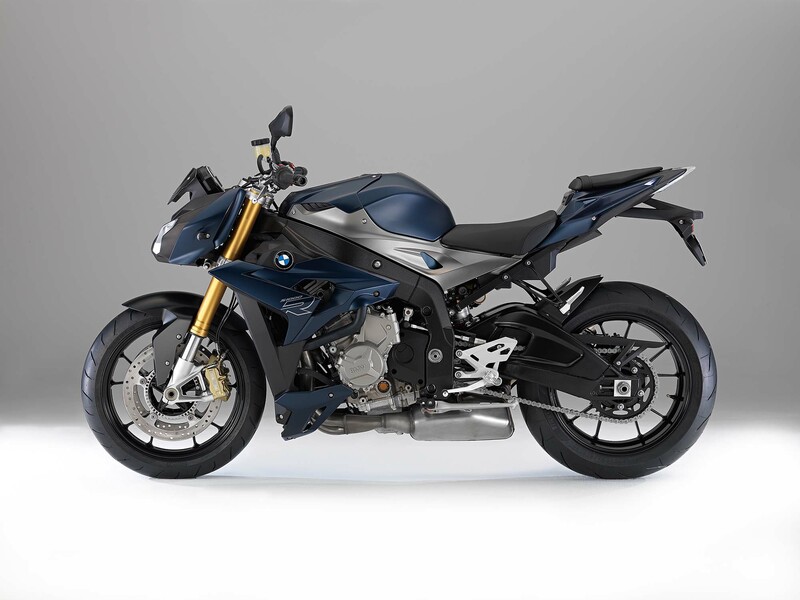 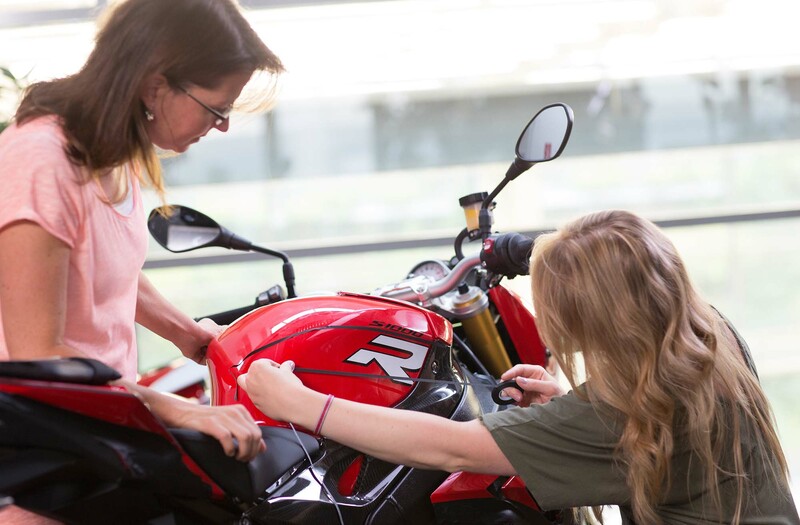 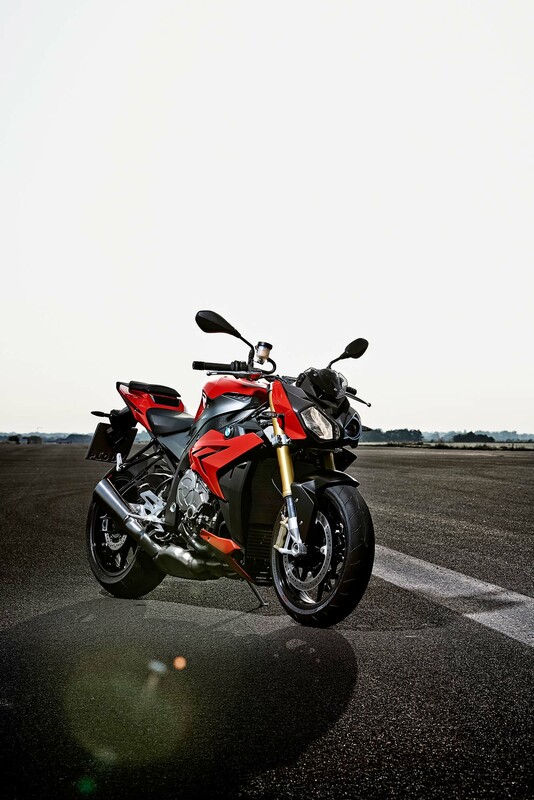 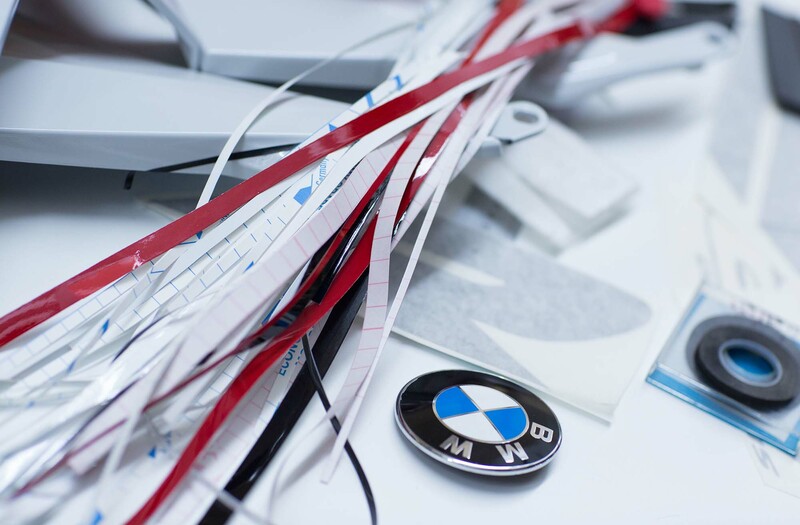 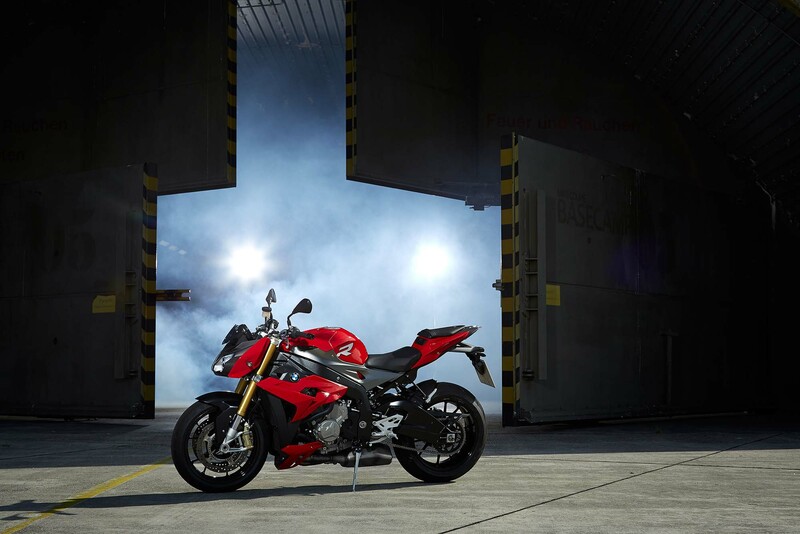 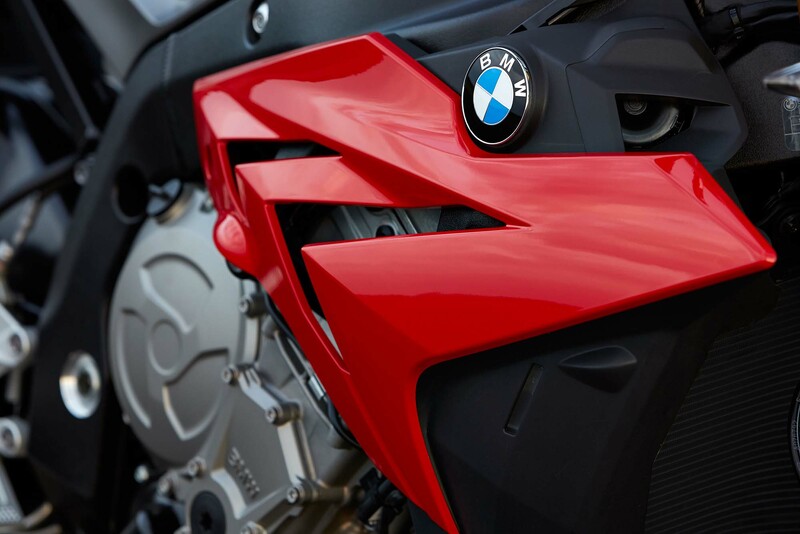 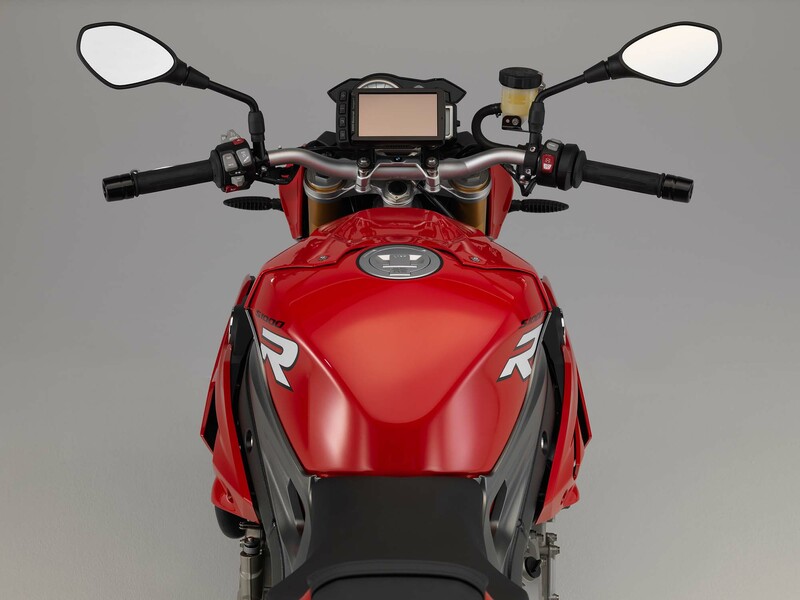 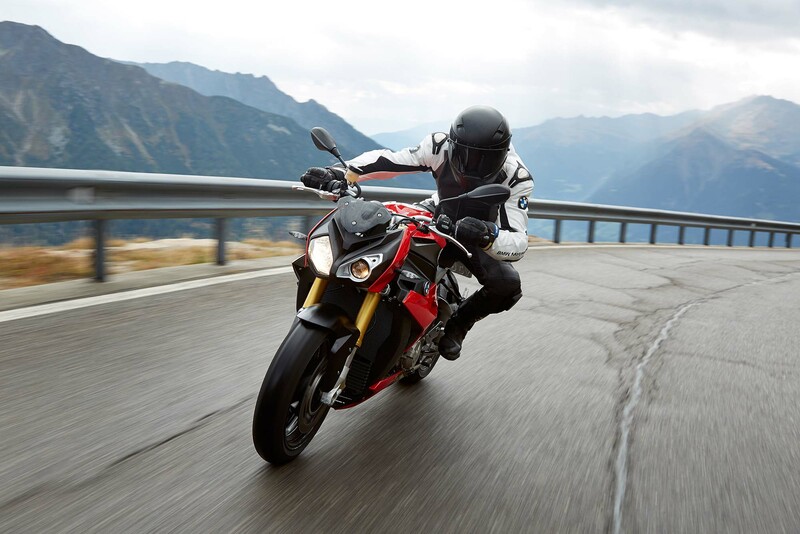 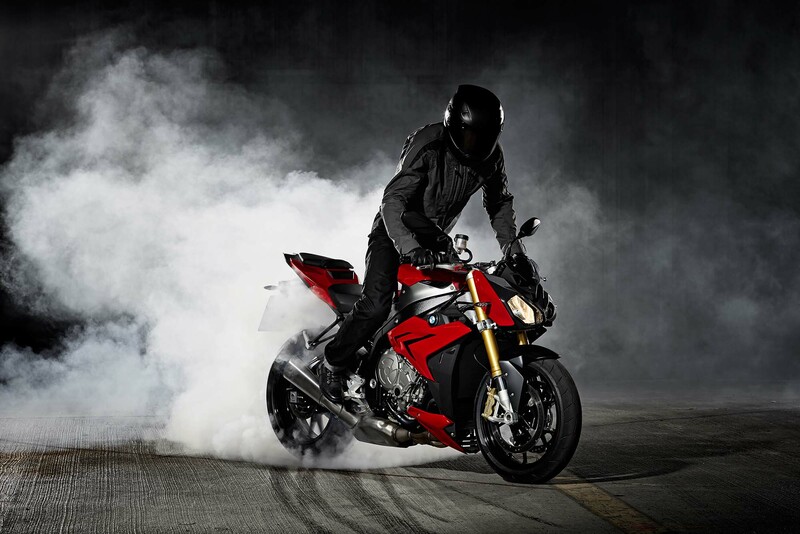 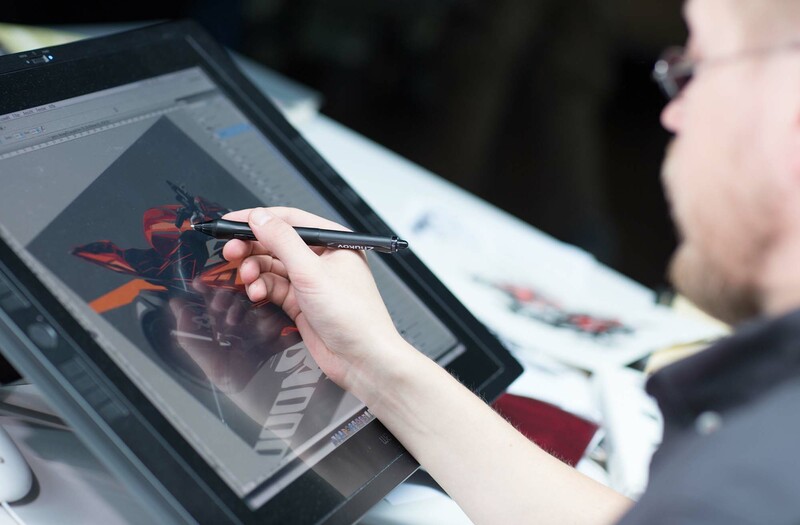 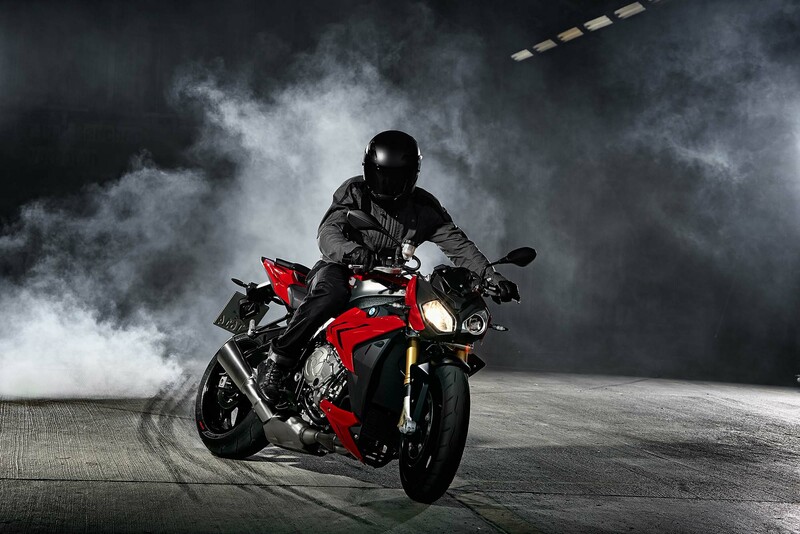 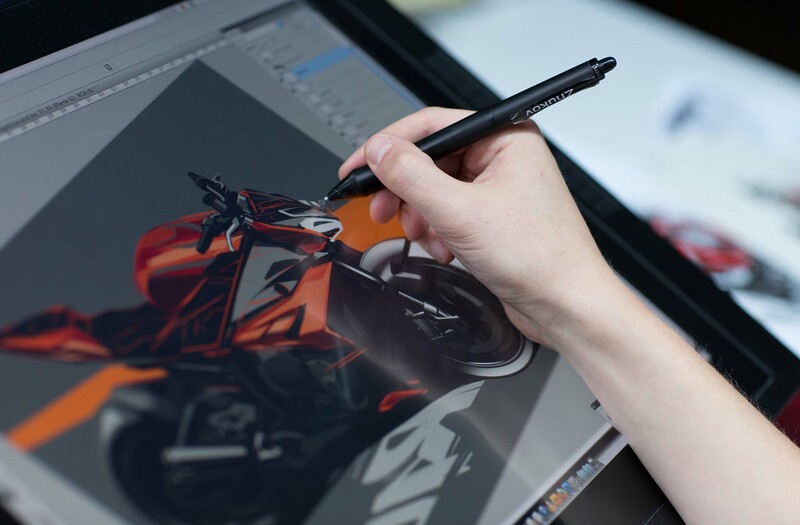 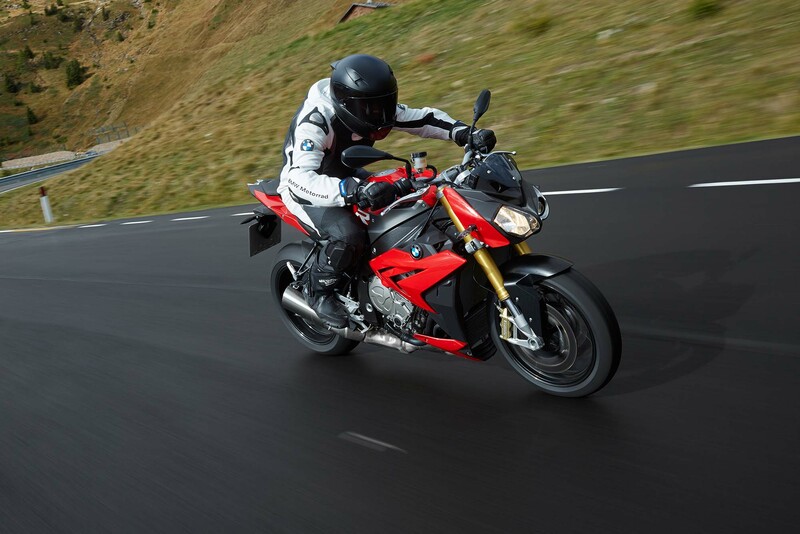 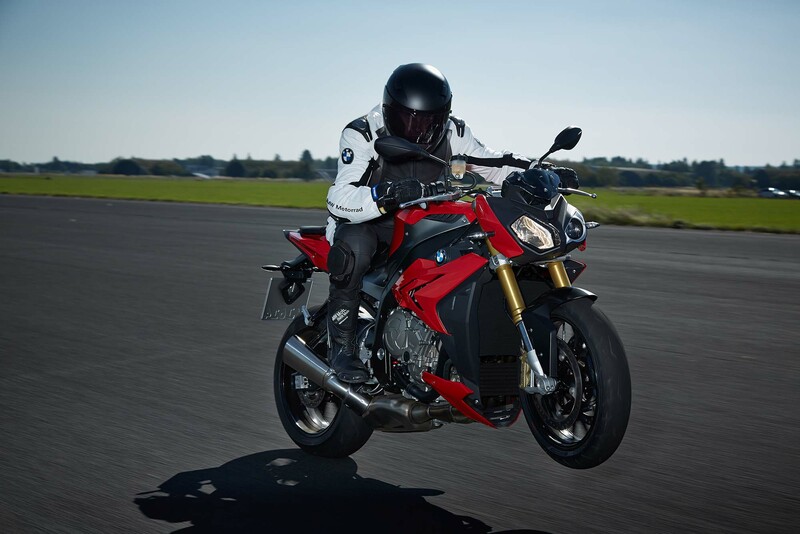 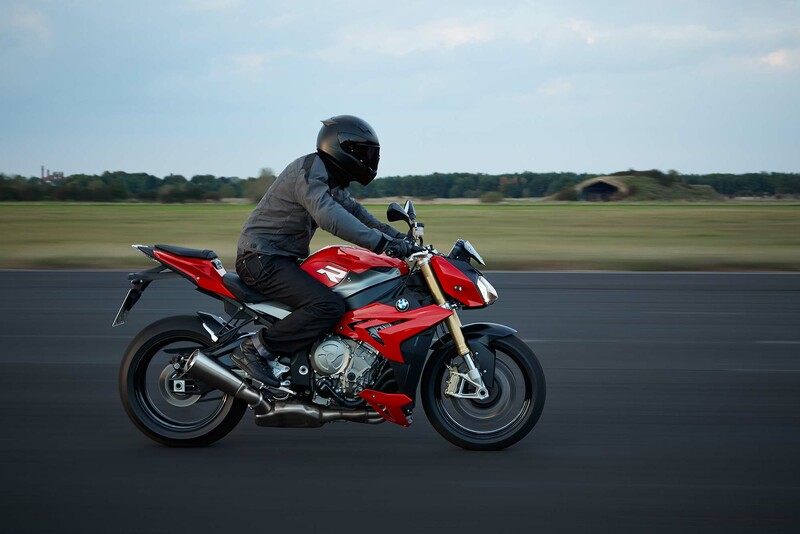 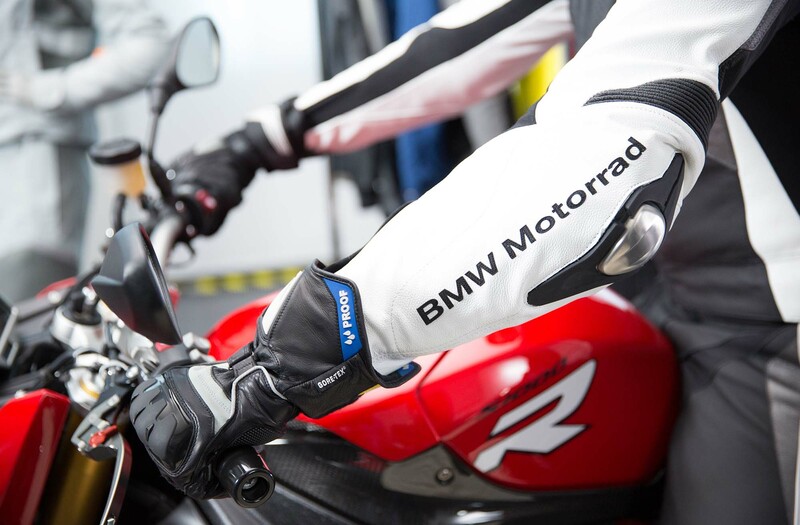 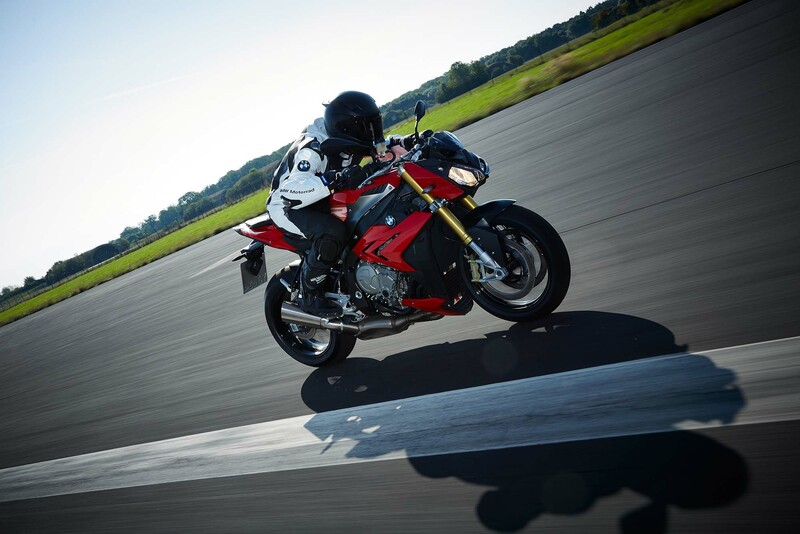 BMW Motorrad has made sure that the S1000R comes full loaded, with the new model featuring a race ABS, automatic stability control (ASC), and dual-riding modes (Road & Rain), with dynamic traction control (DTC) as an add-on feature. 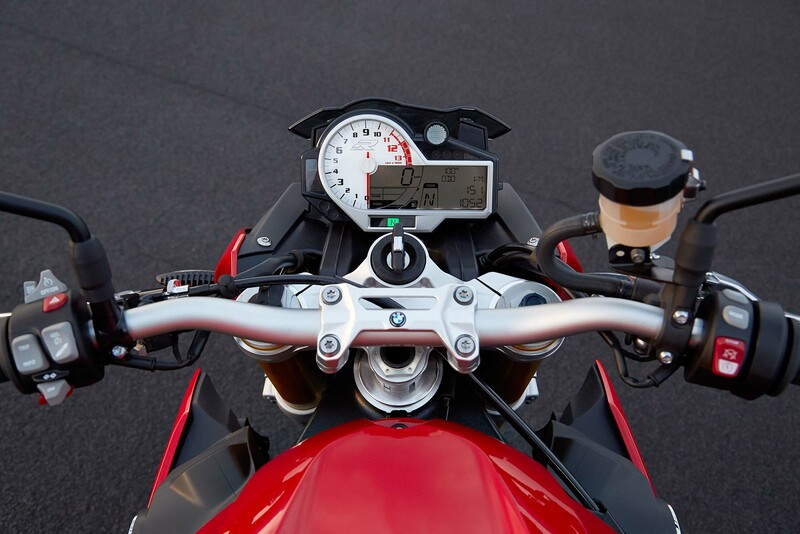 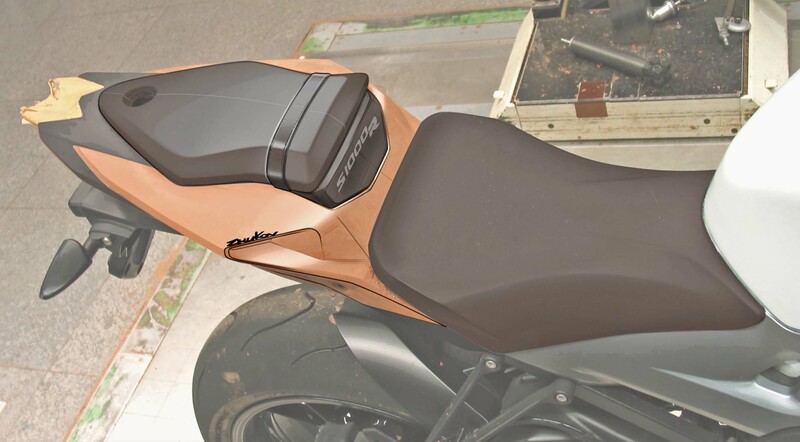 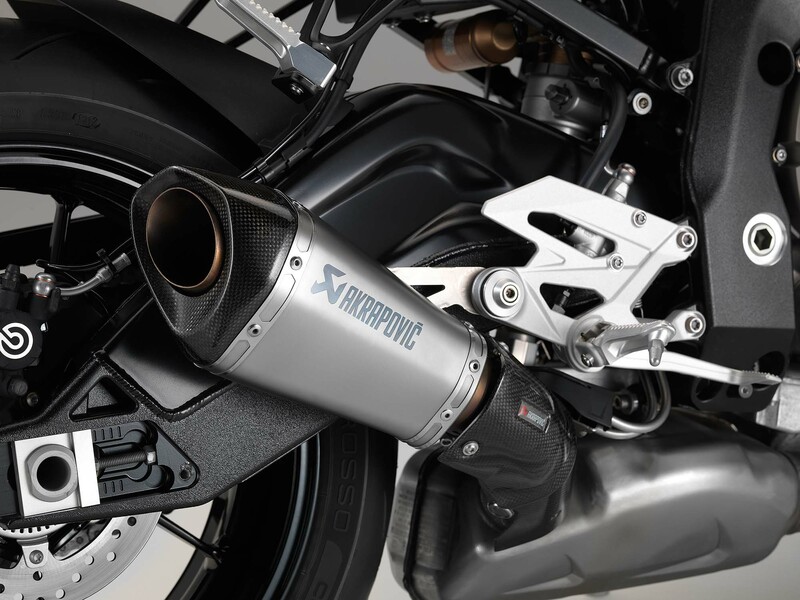 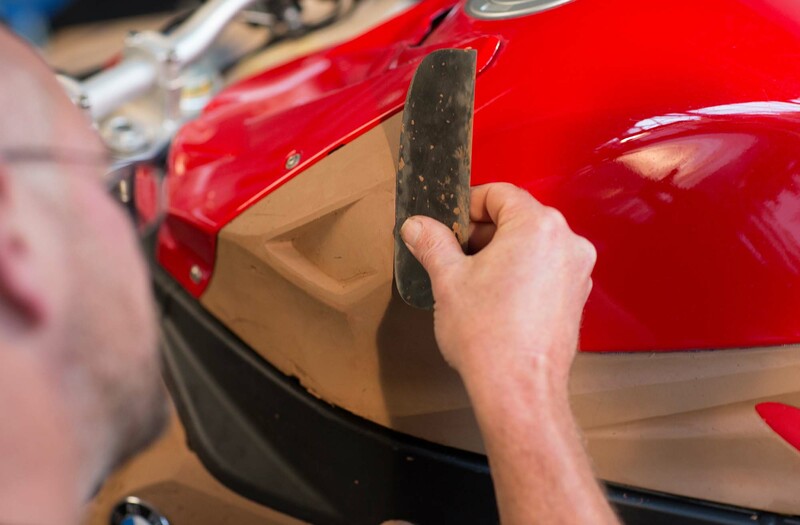 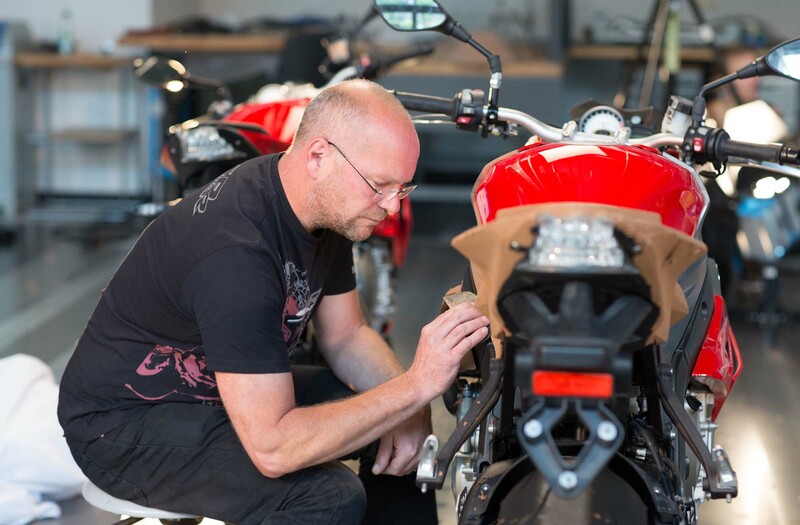 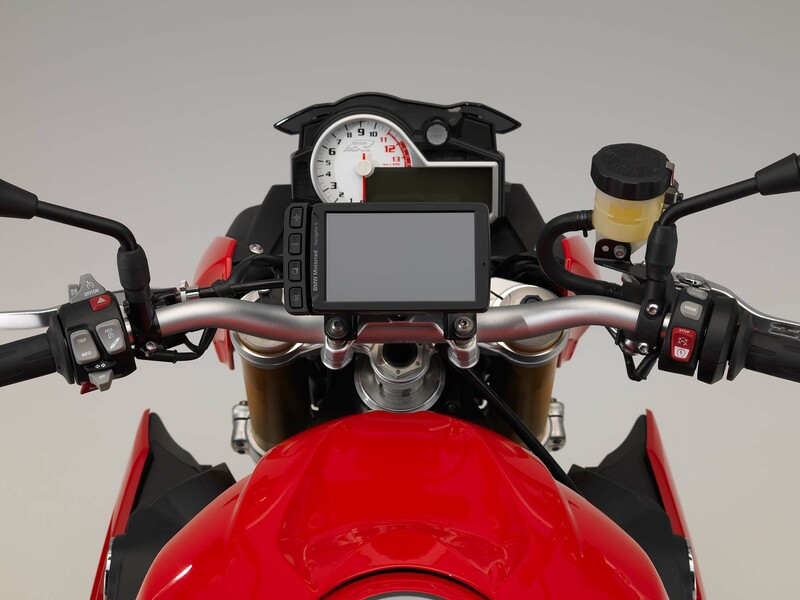 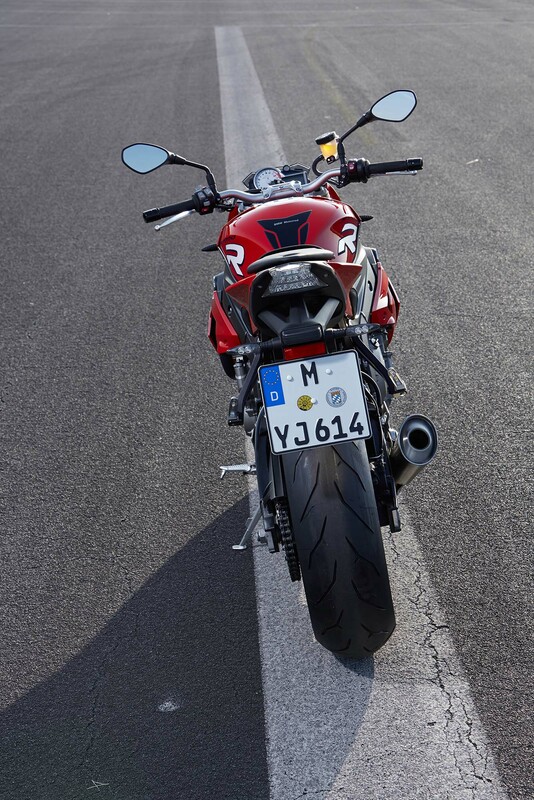 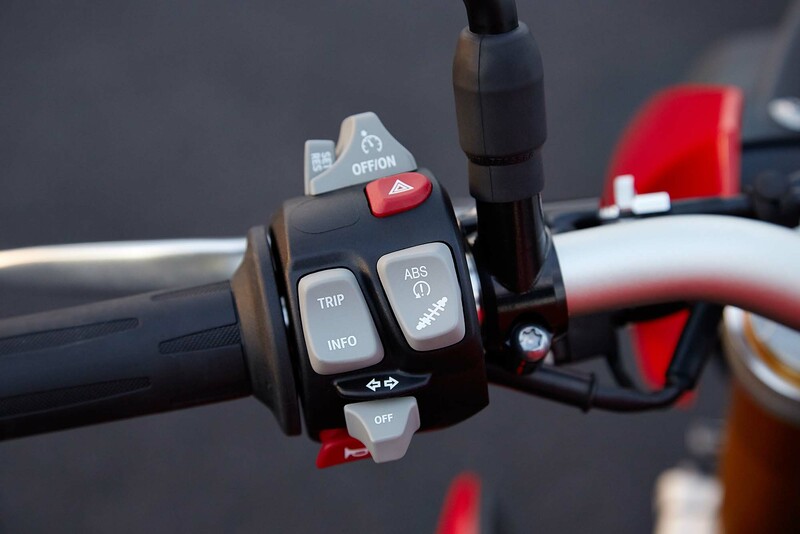 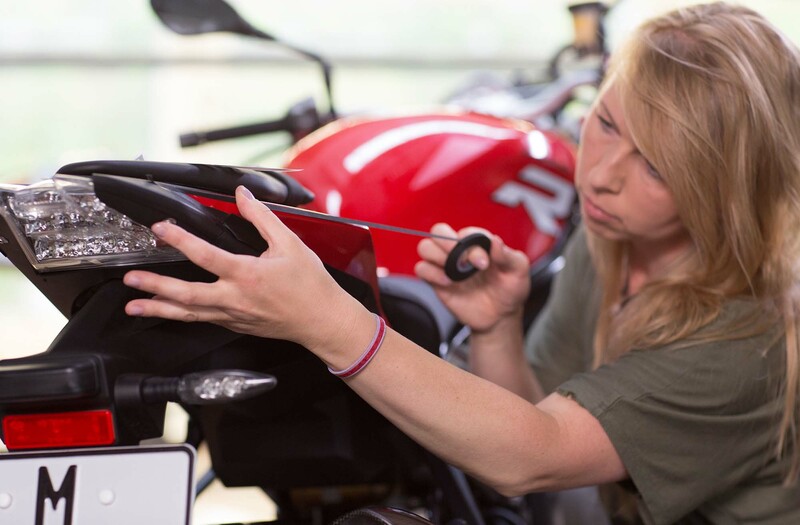 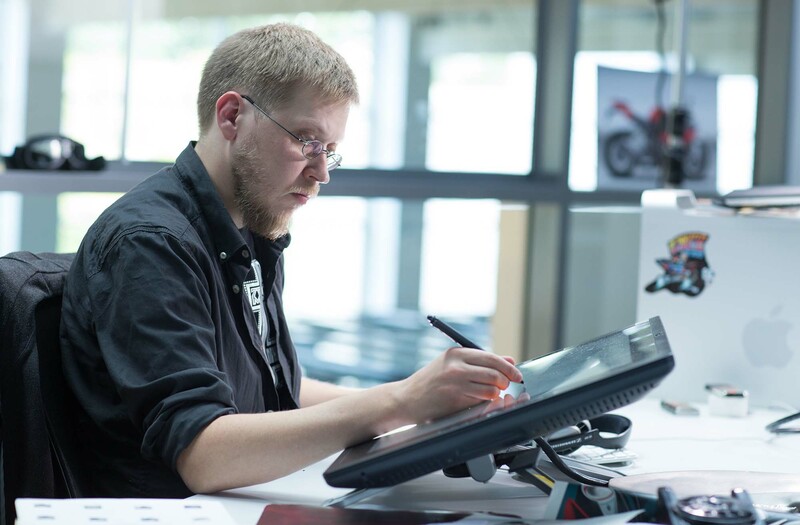 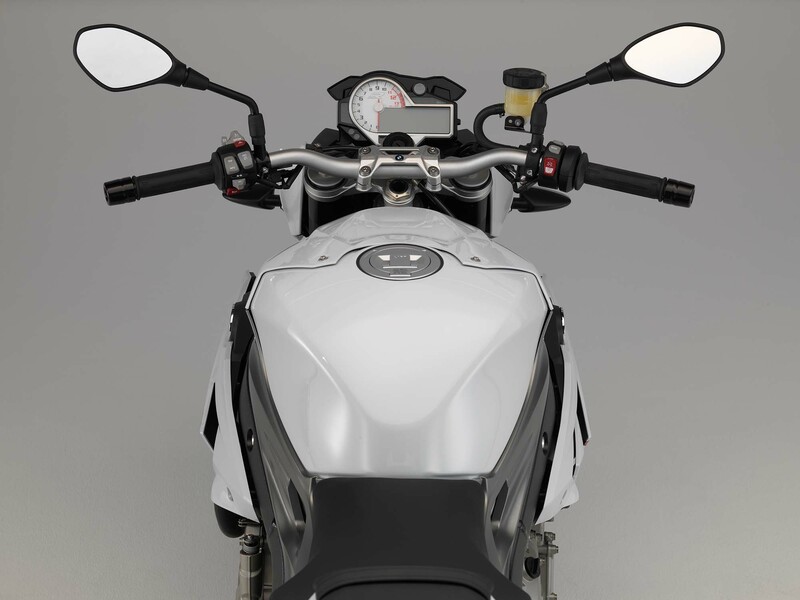 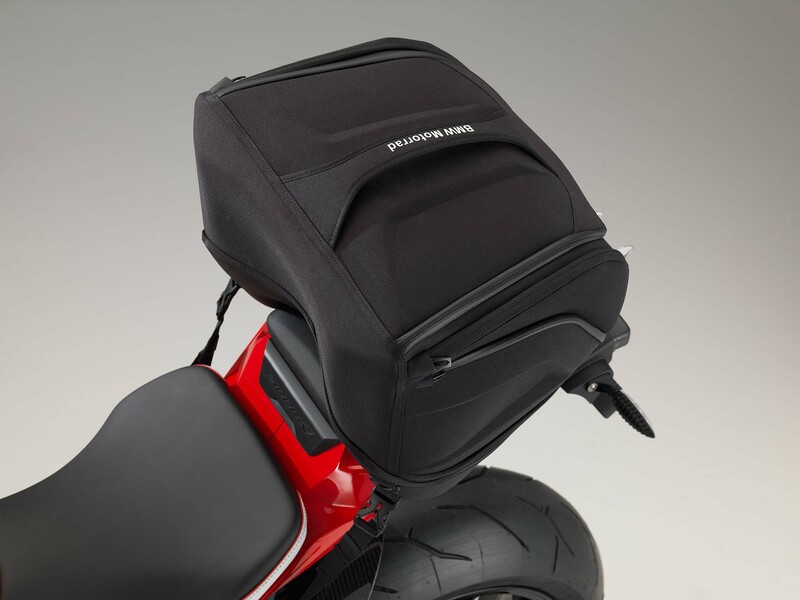 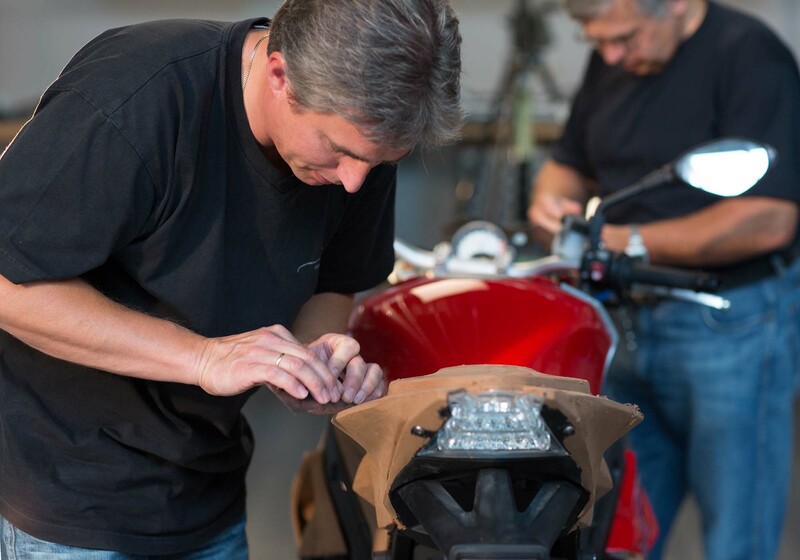 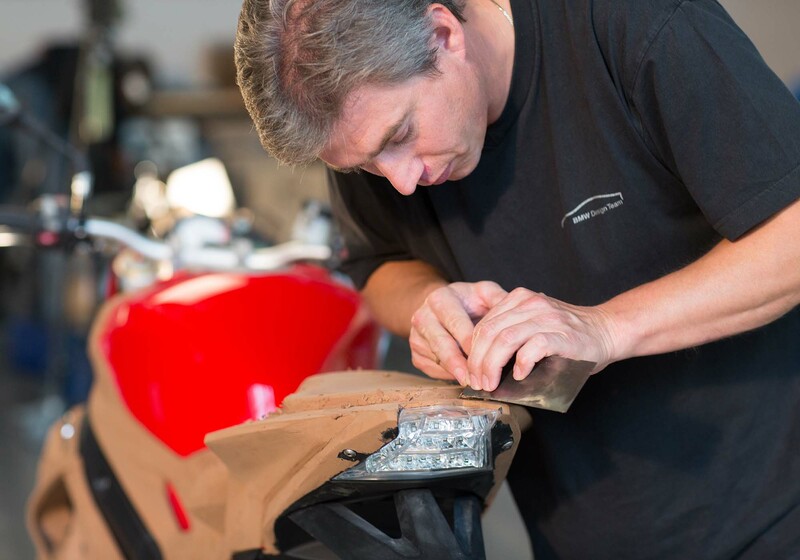 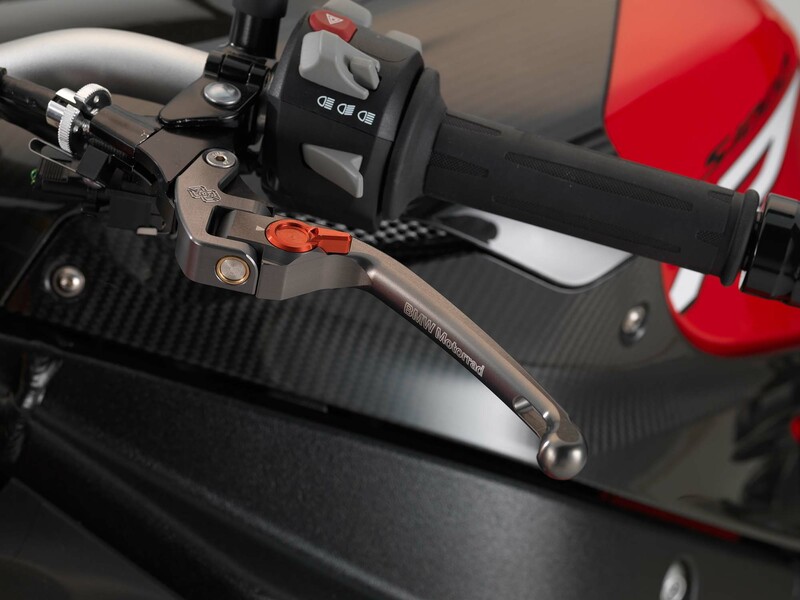 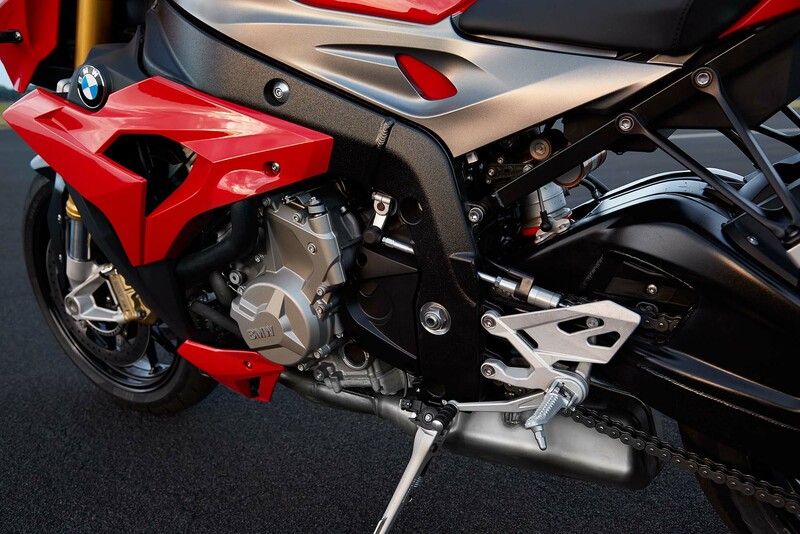 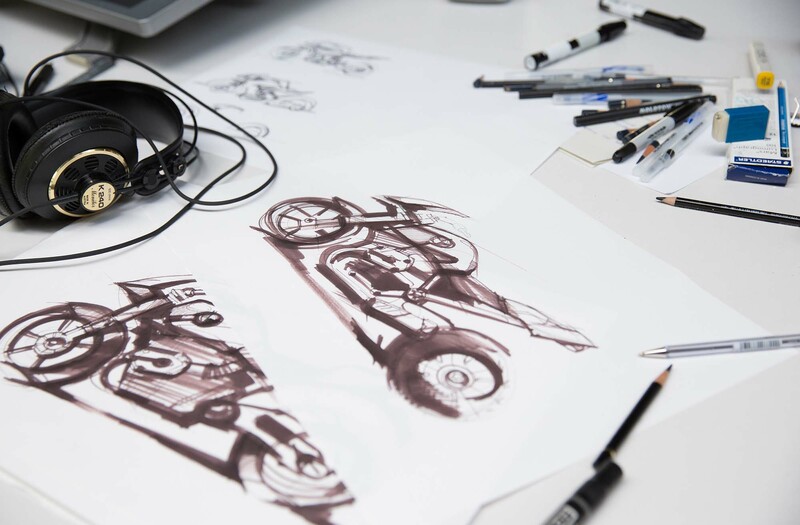 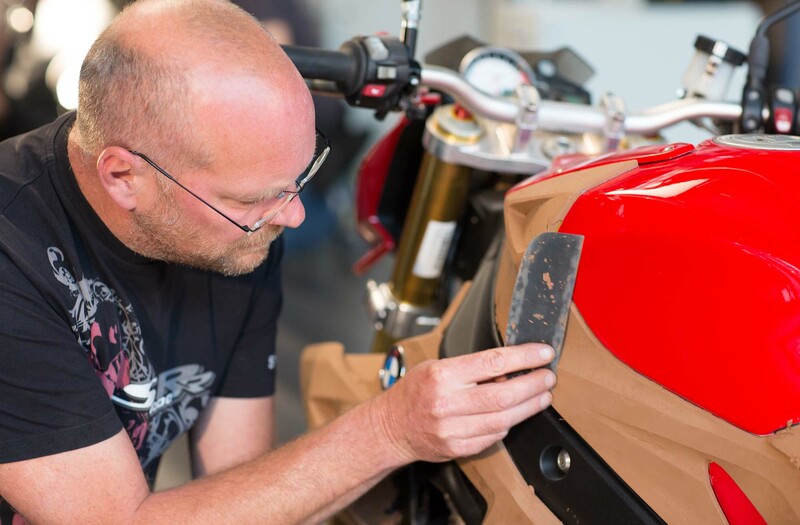 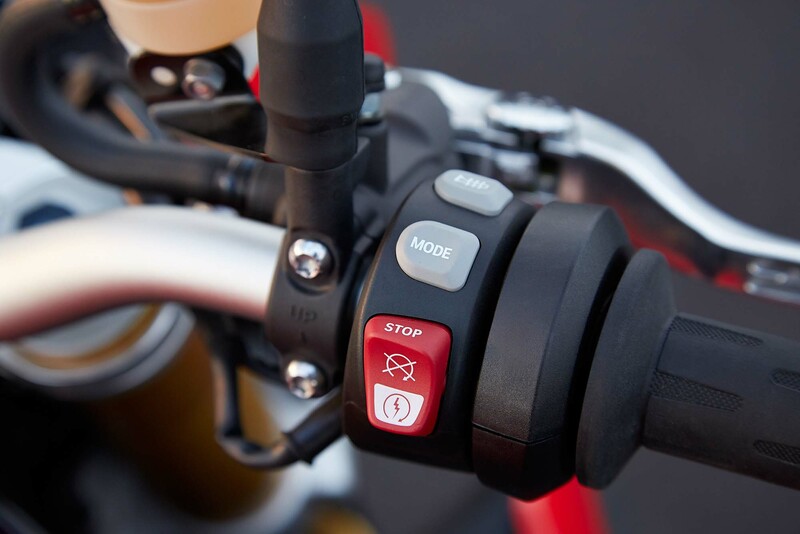 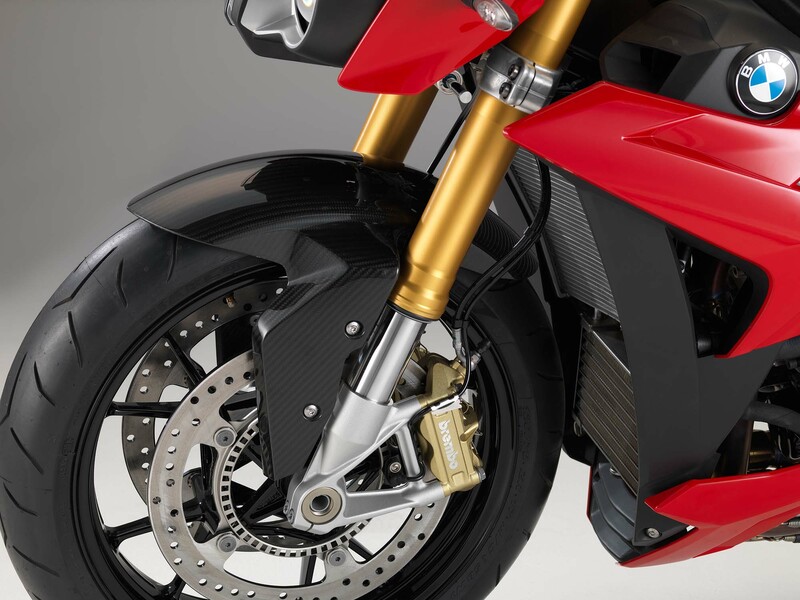 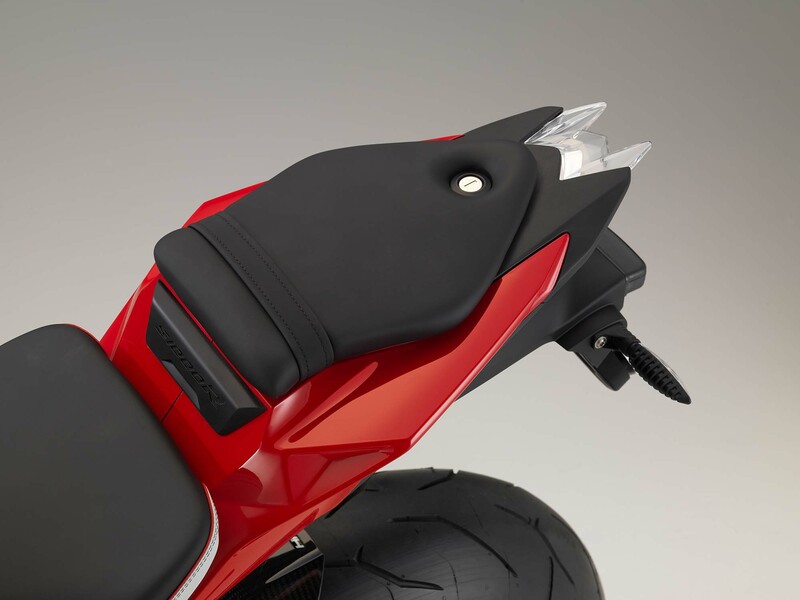 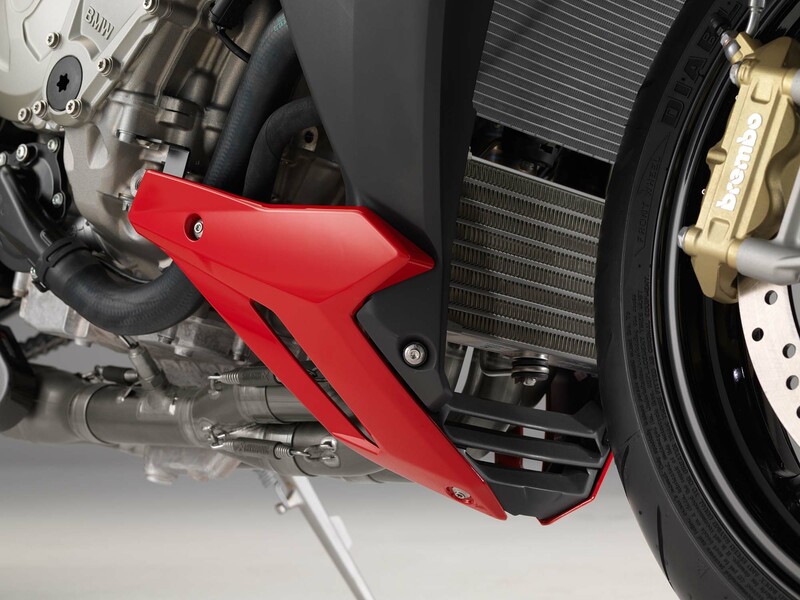 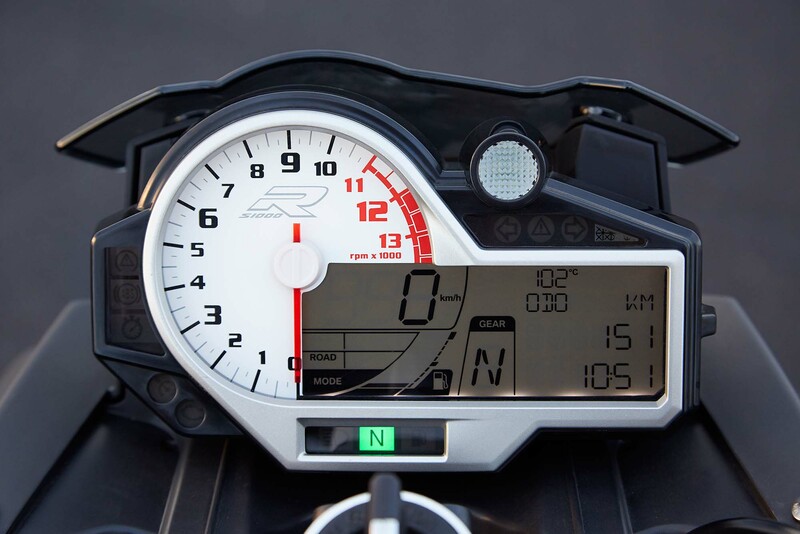 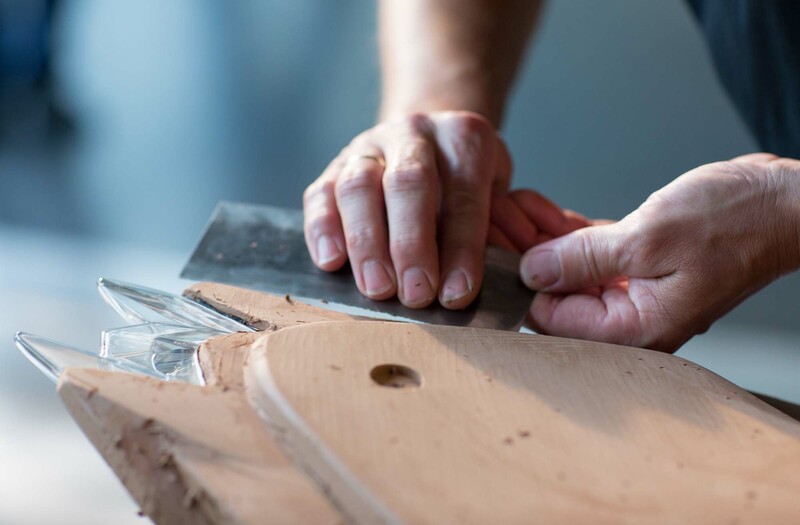 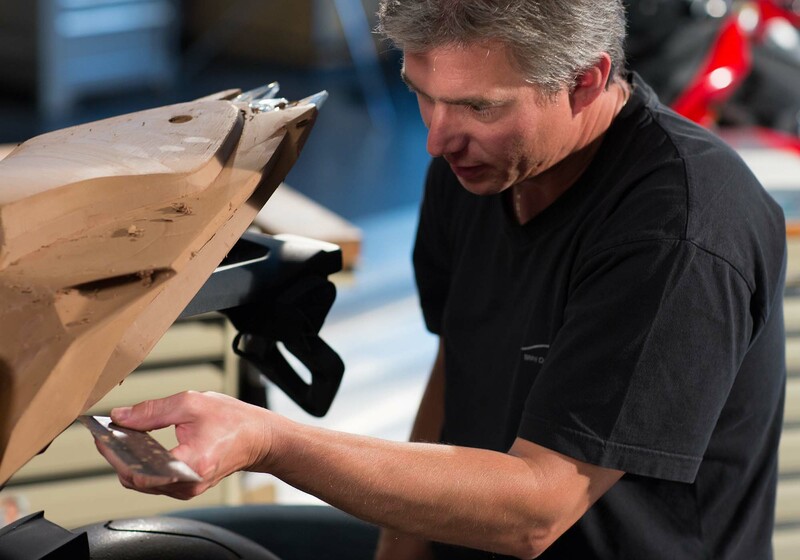 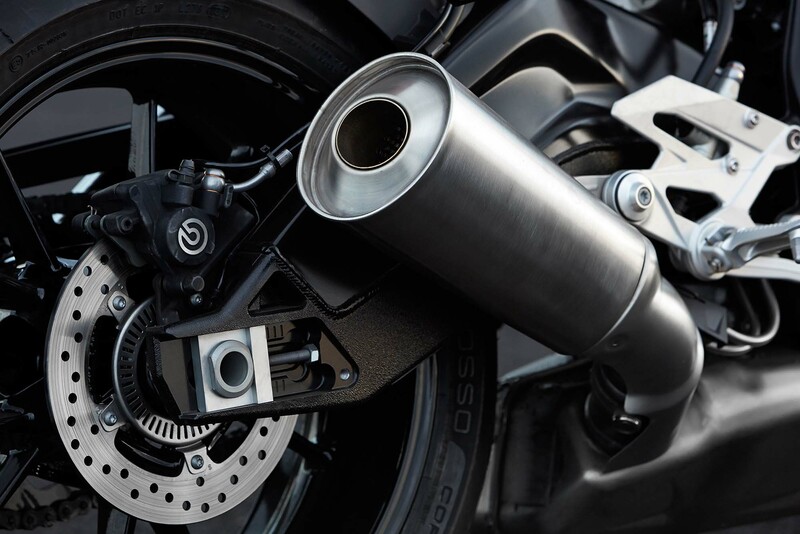 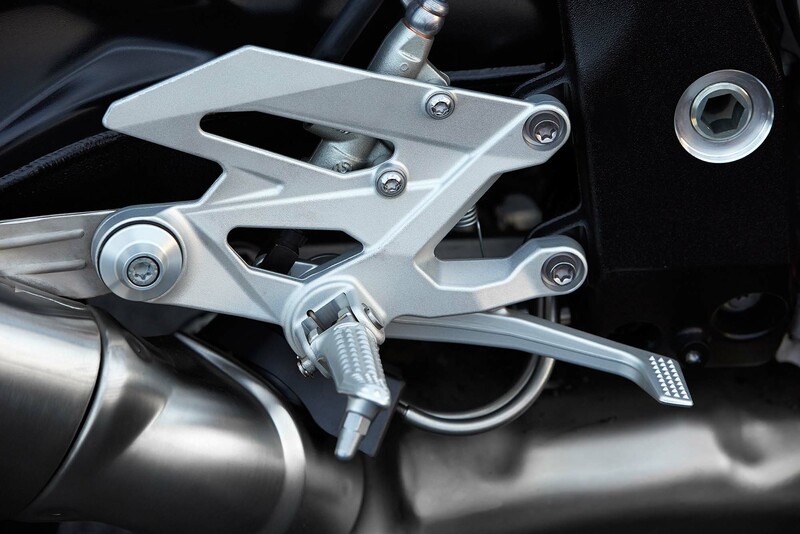 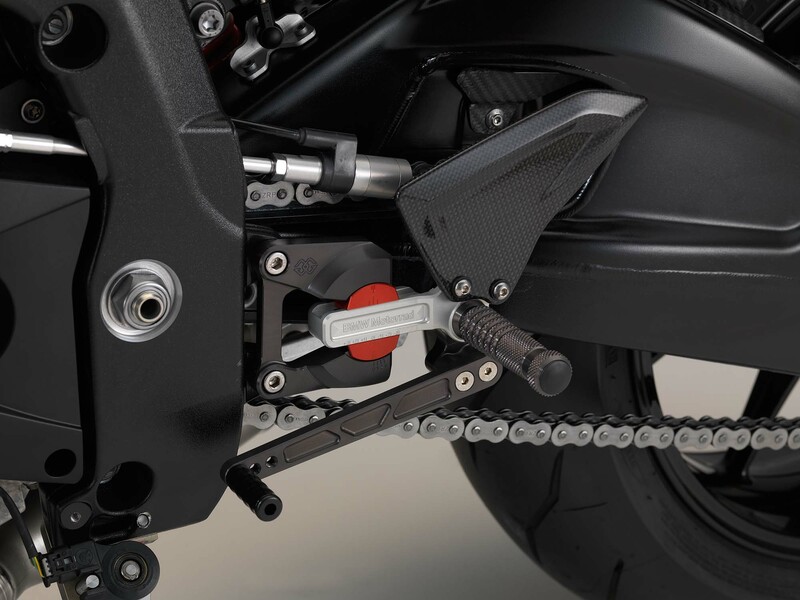 This latter point might be a detriment to BMW Motorrad, considering that traction control is rapidly becoming a standard feature in the two-wheeled world, and a must-have in the sport-naked segment. 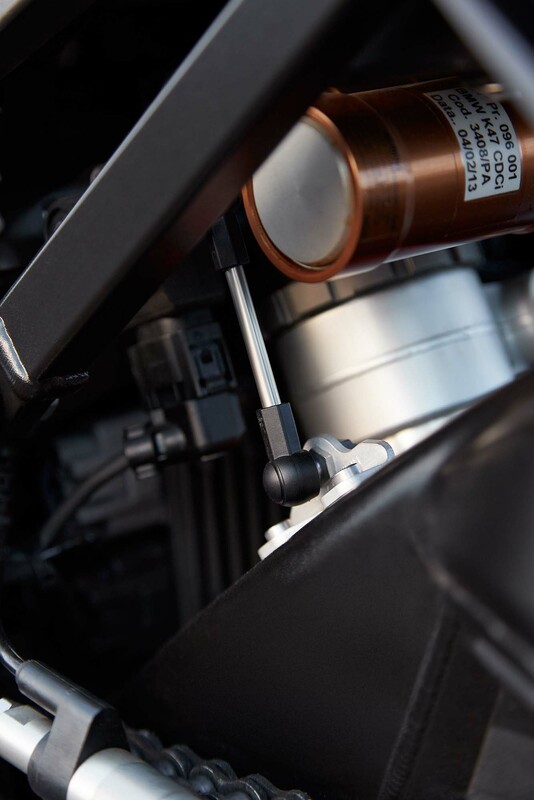 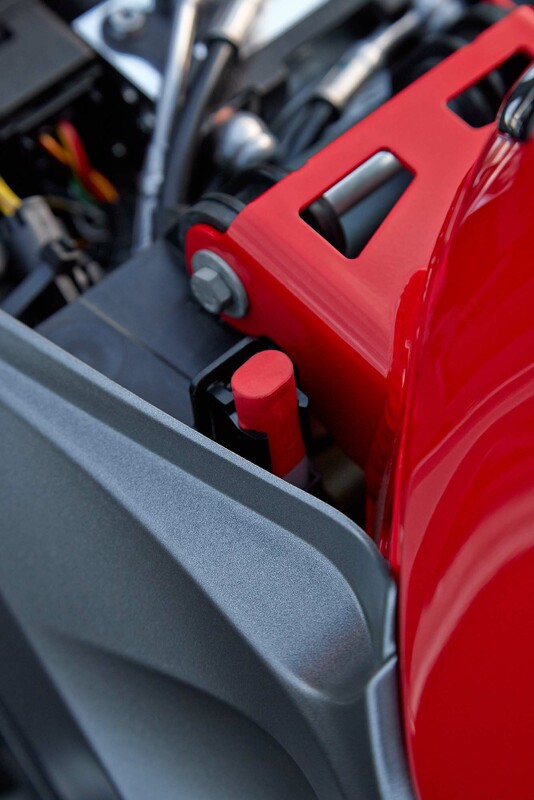 Also available as an option is BMW dynamic damping control (DDC), which is fancy wording for a semi-active suspension system. 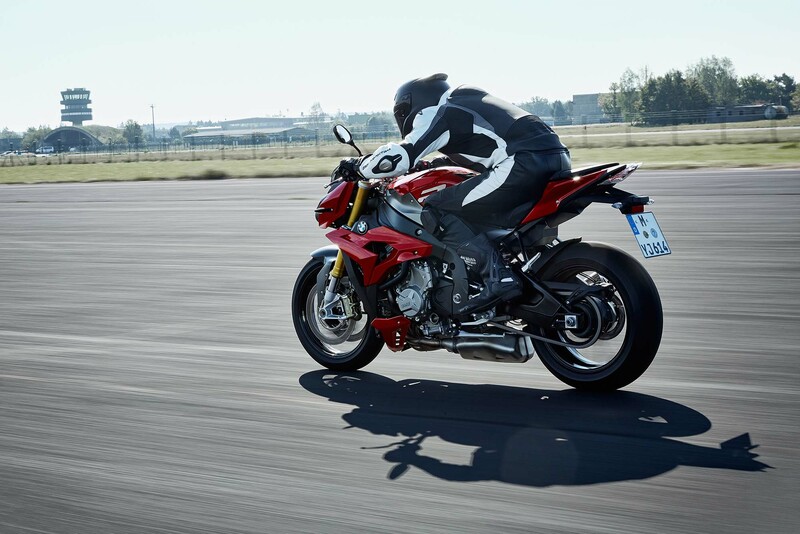 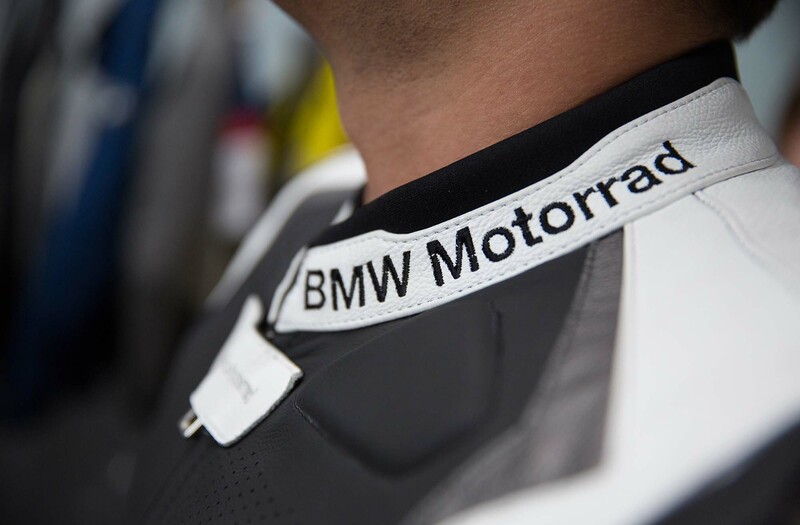 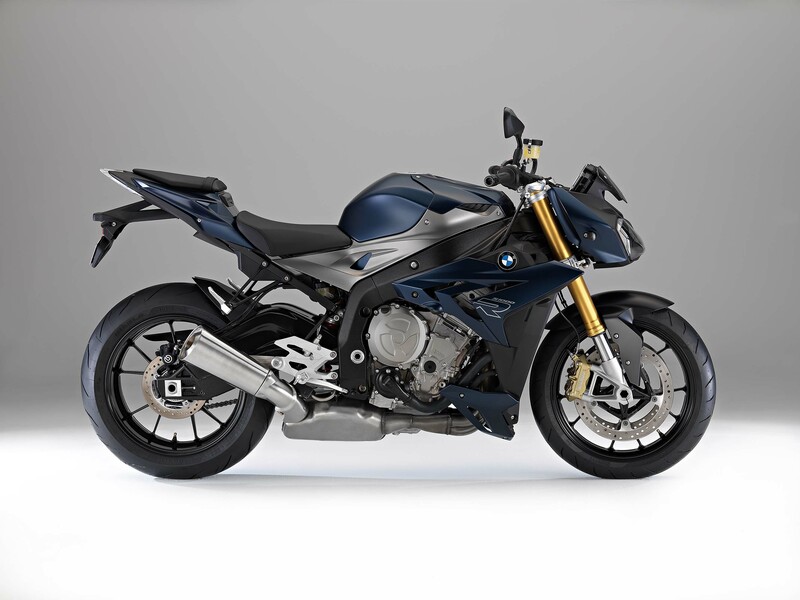 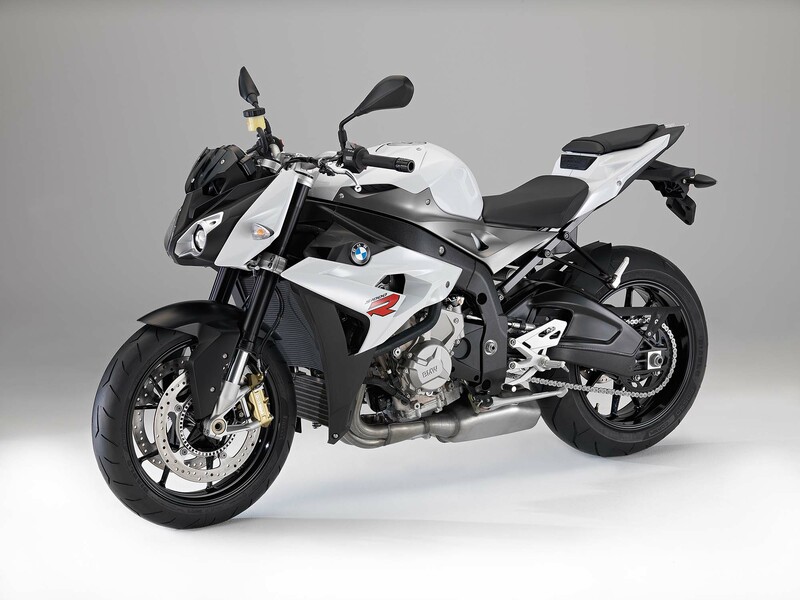 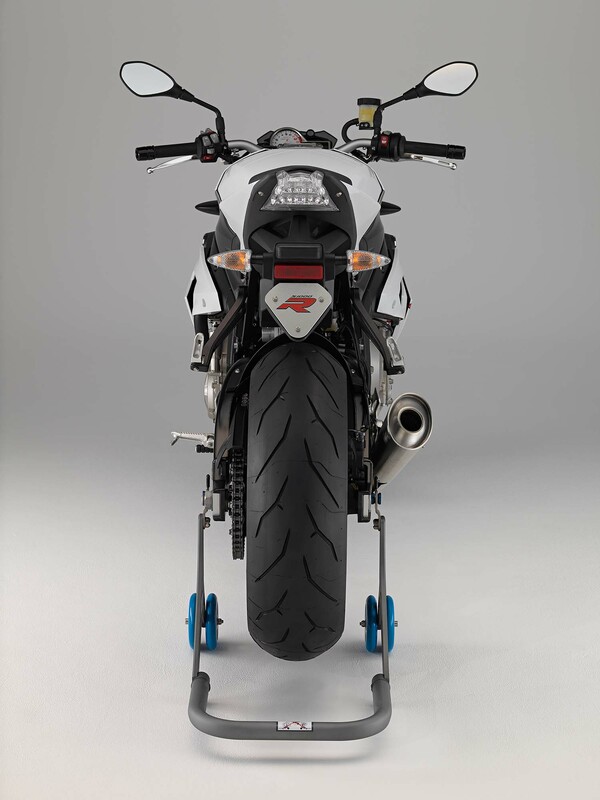 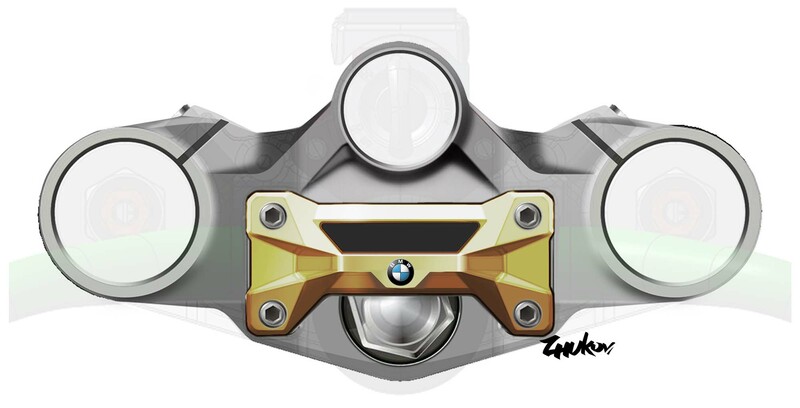 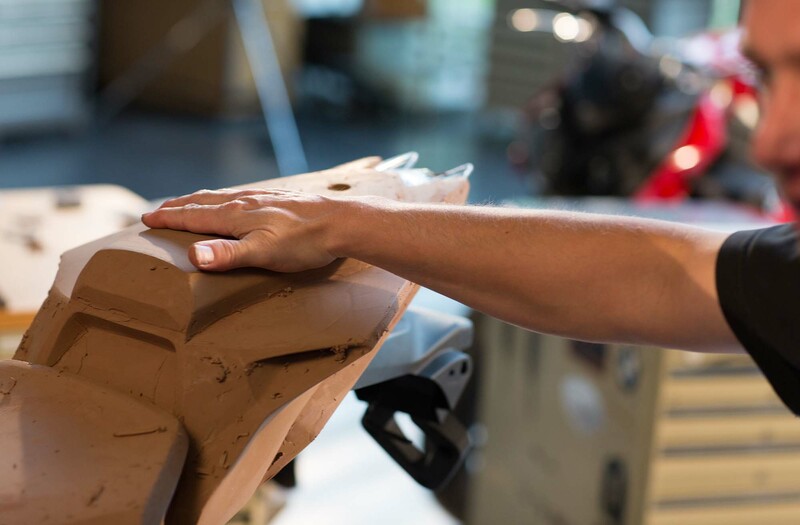 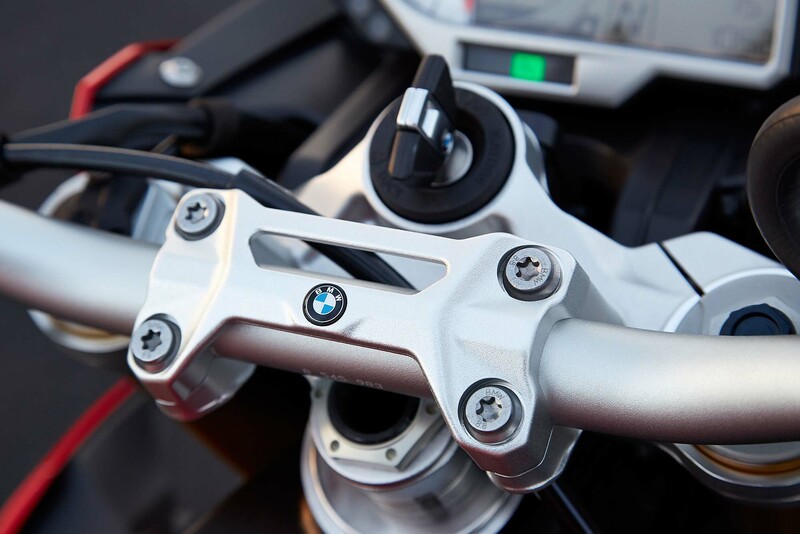 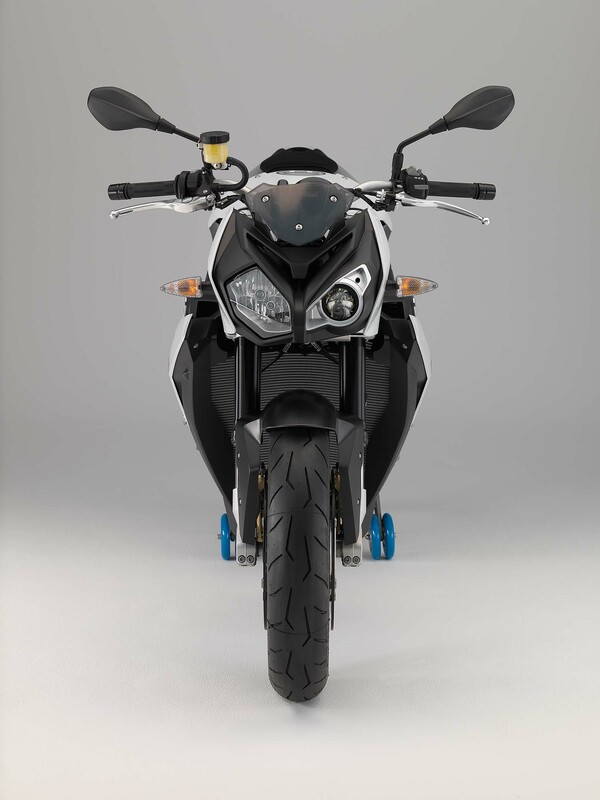 Debuting for BMW Motorrad on the BMW HP4, the BMW S1000R is the first motorcycle in its segment to offer the new suspension technology. 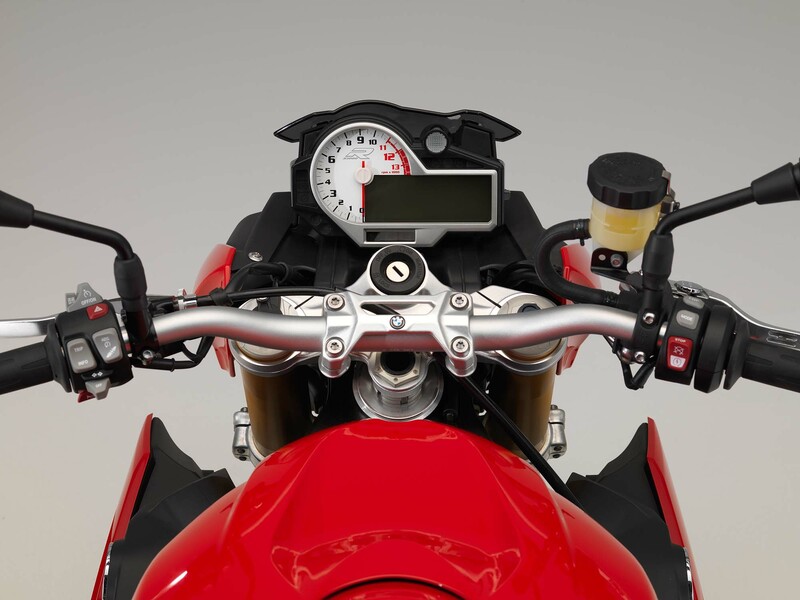 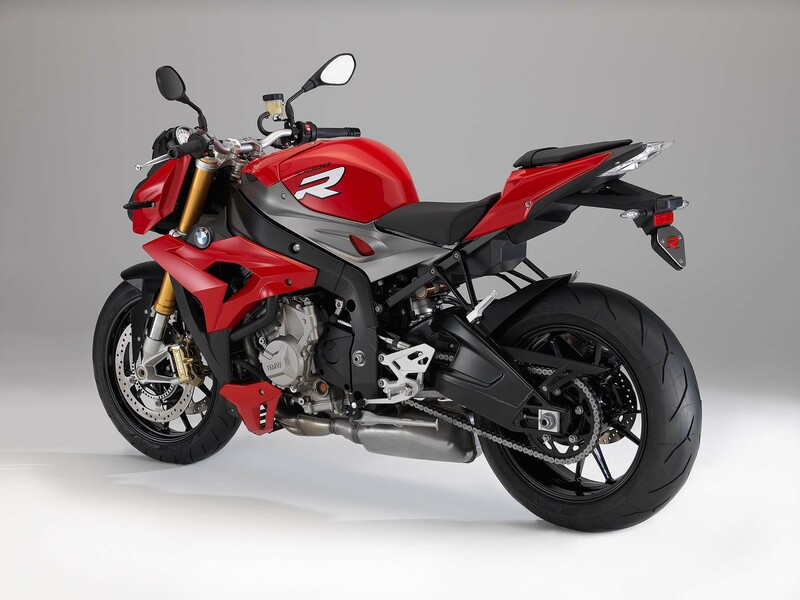 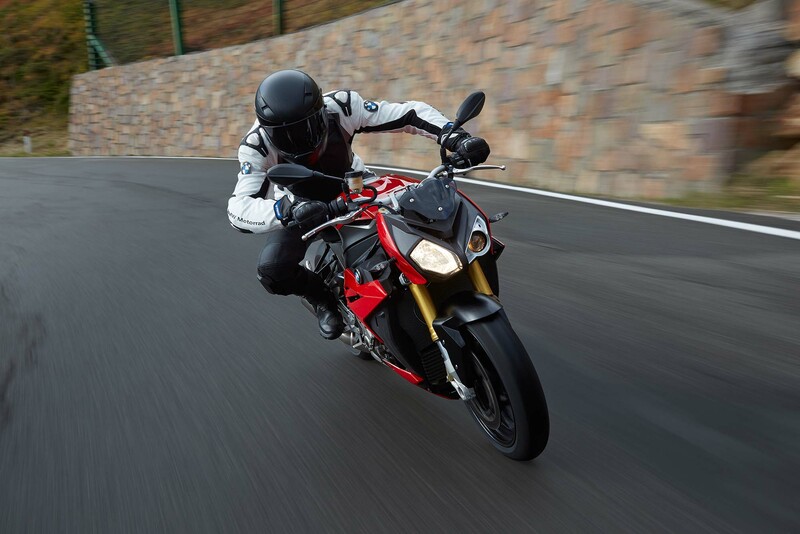 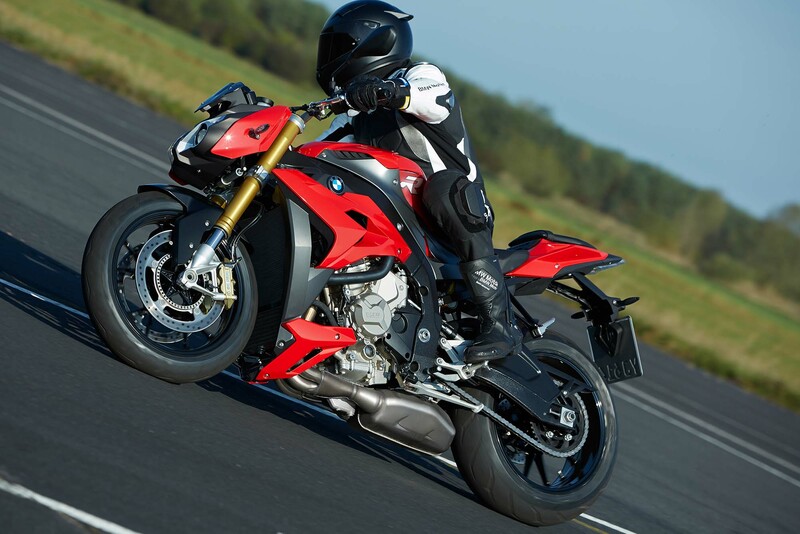 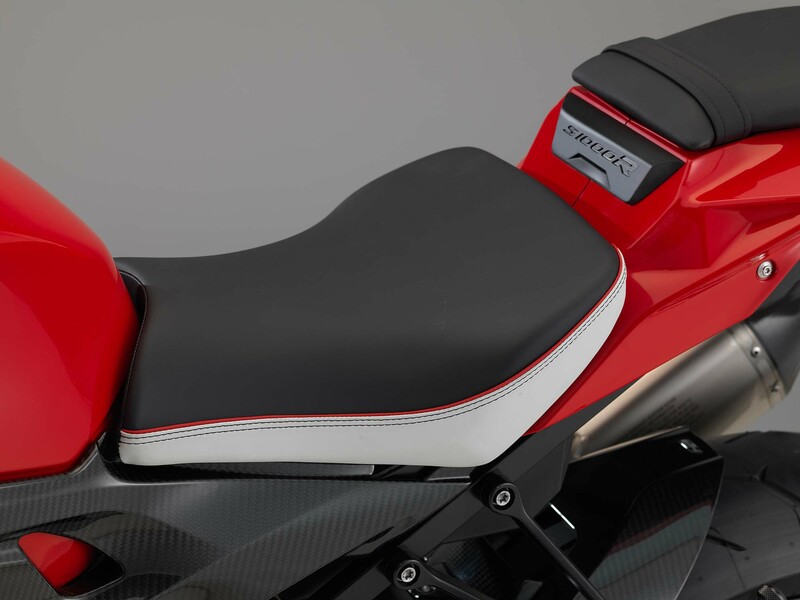 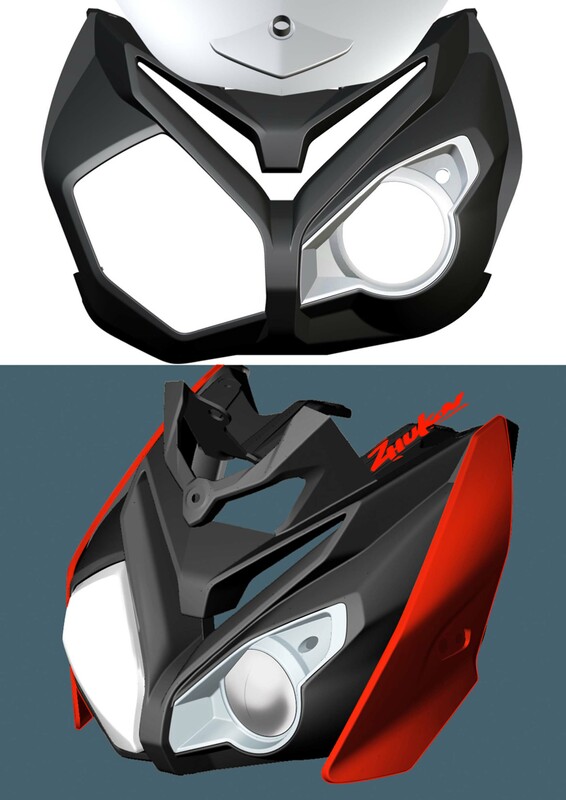 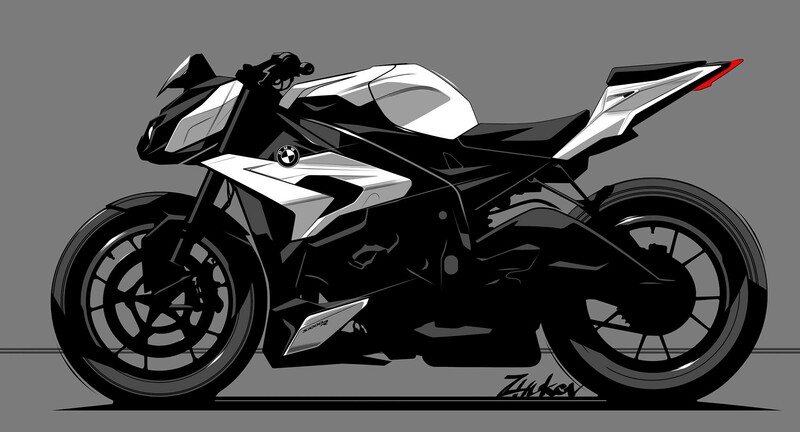 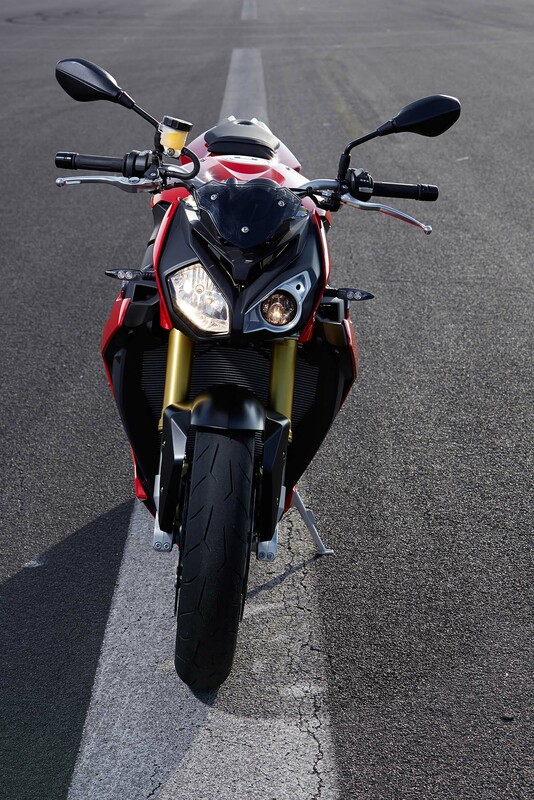 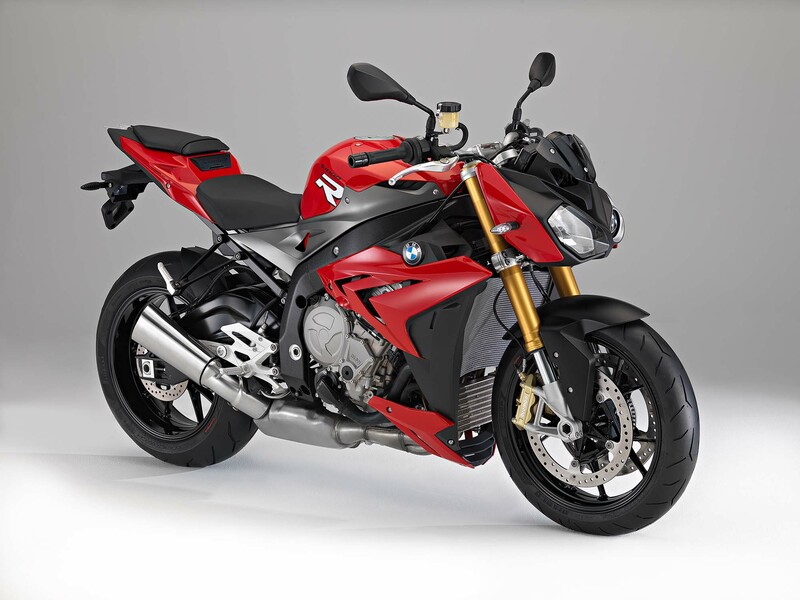 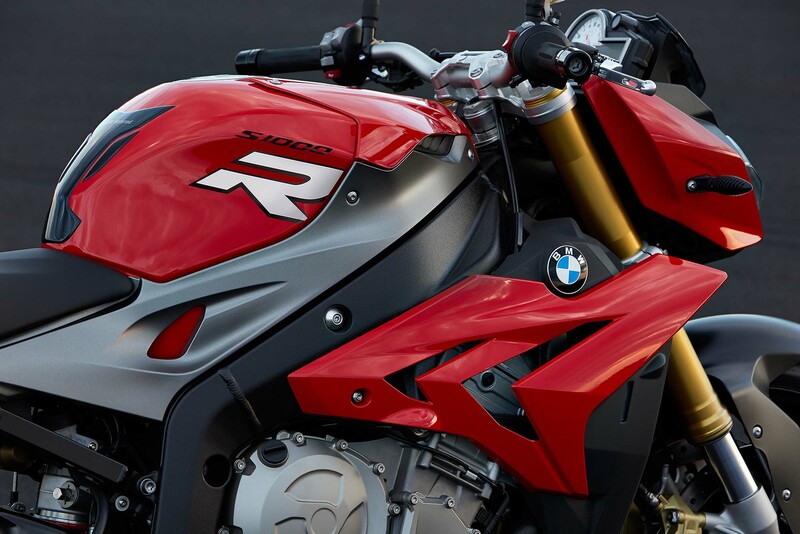 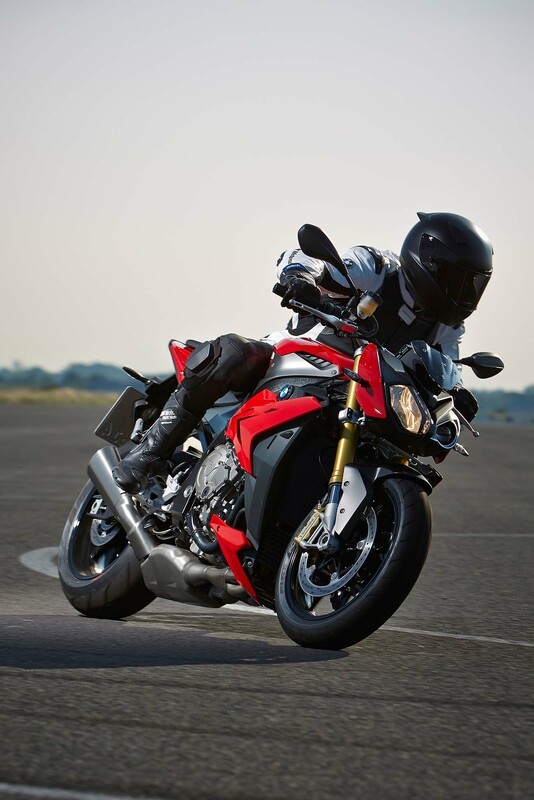 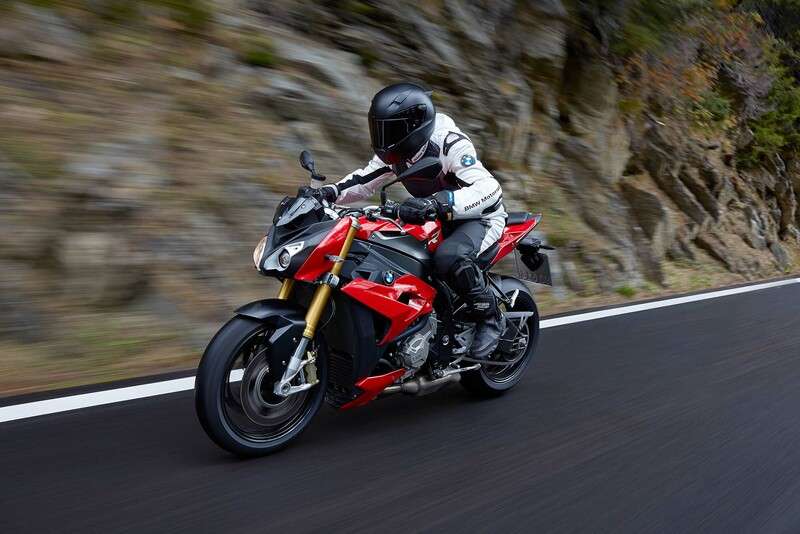 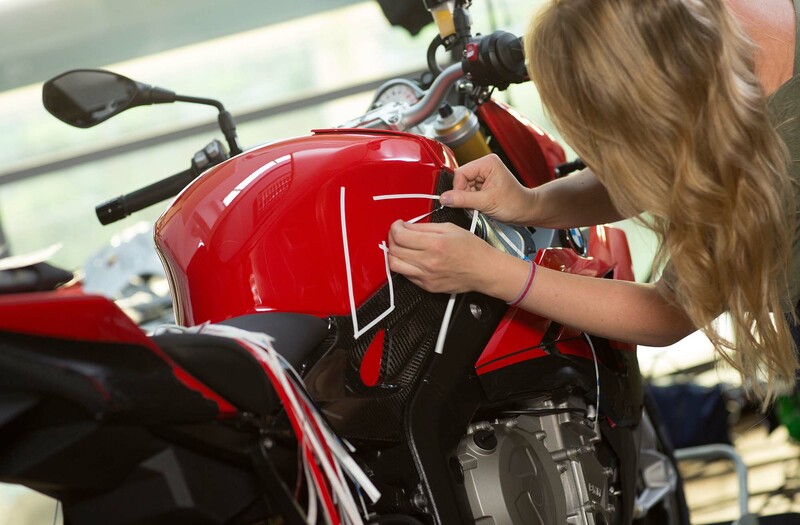 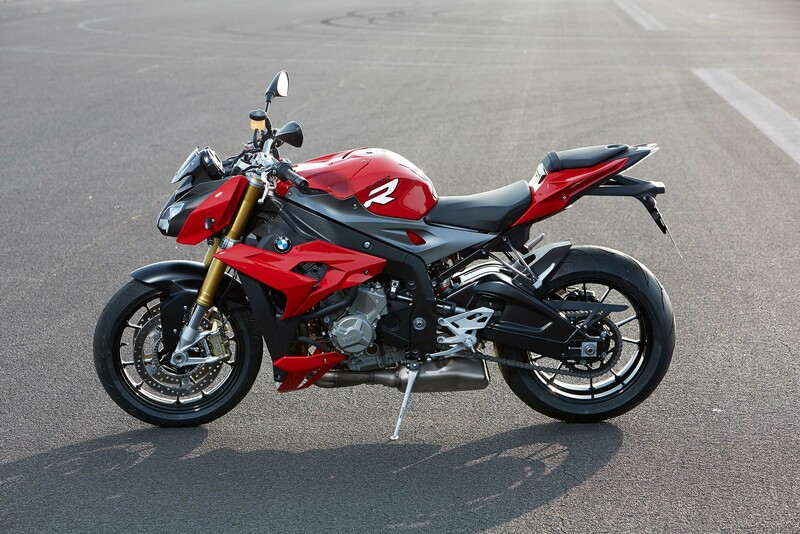 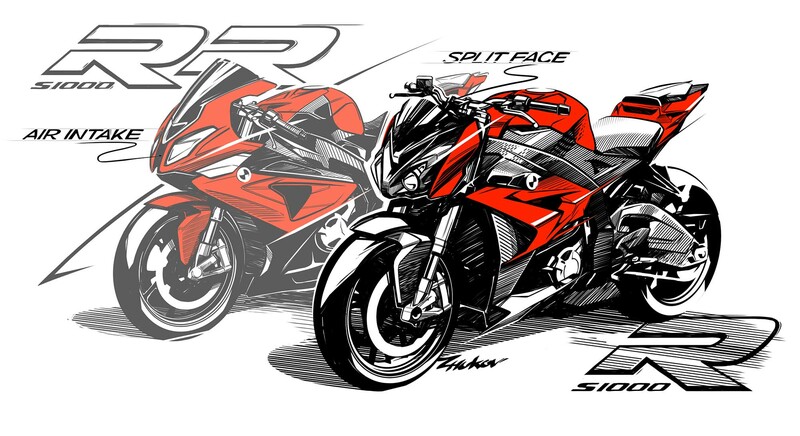 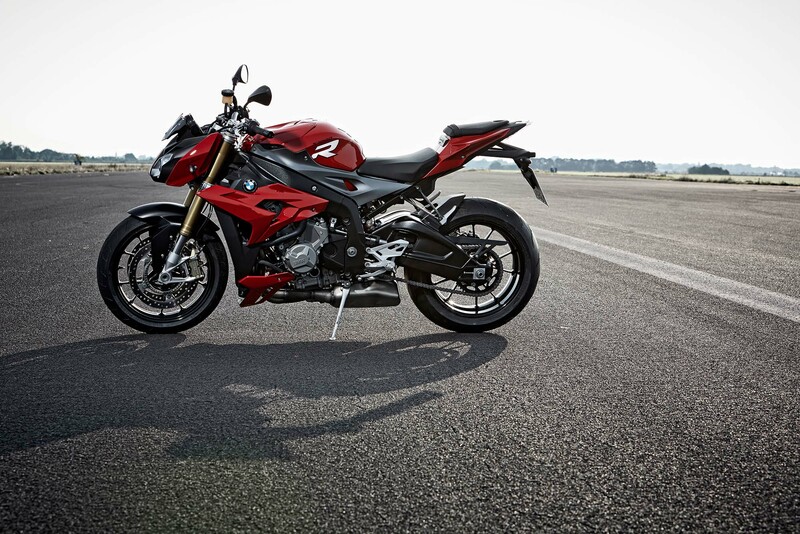 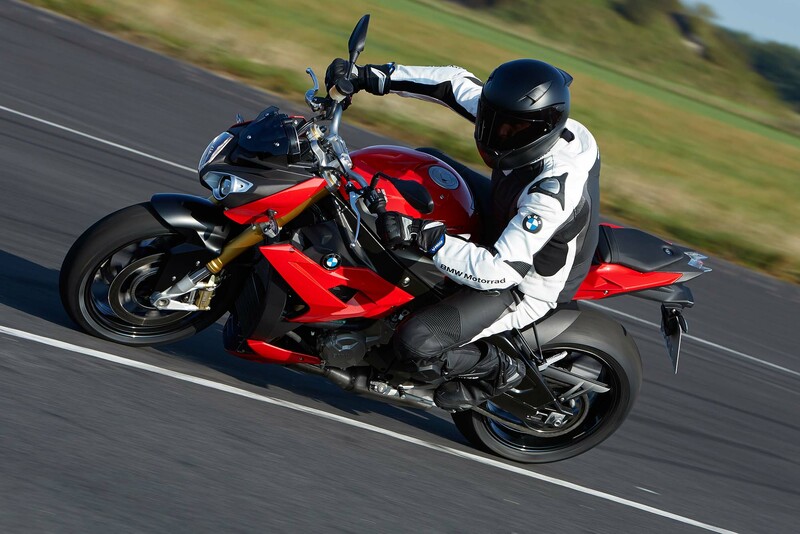 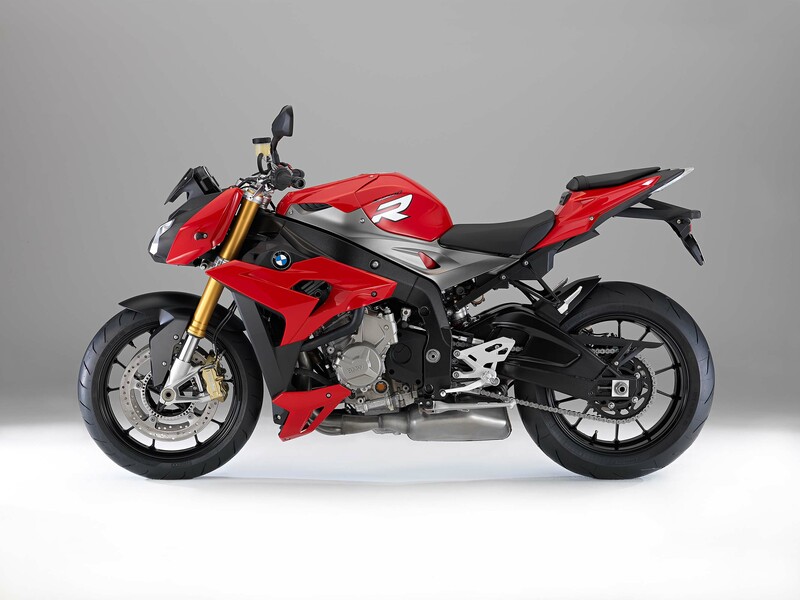 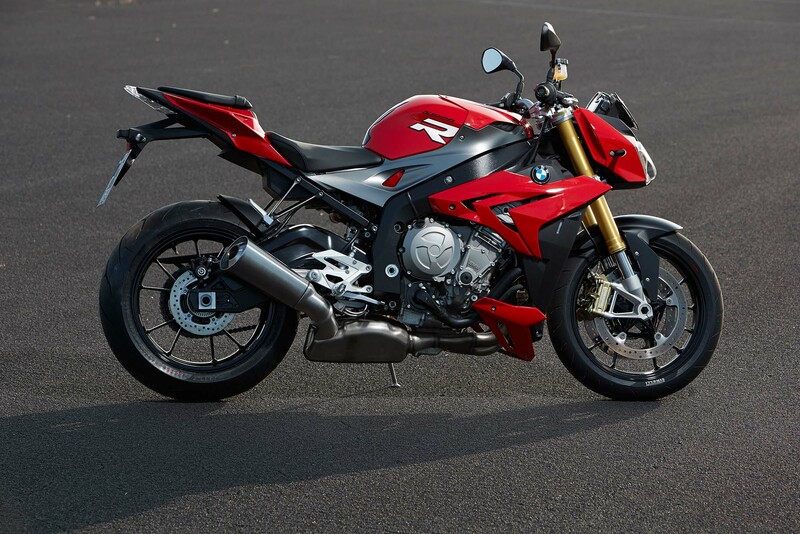 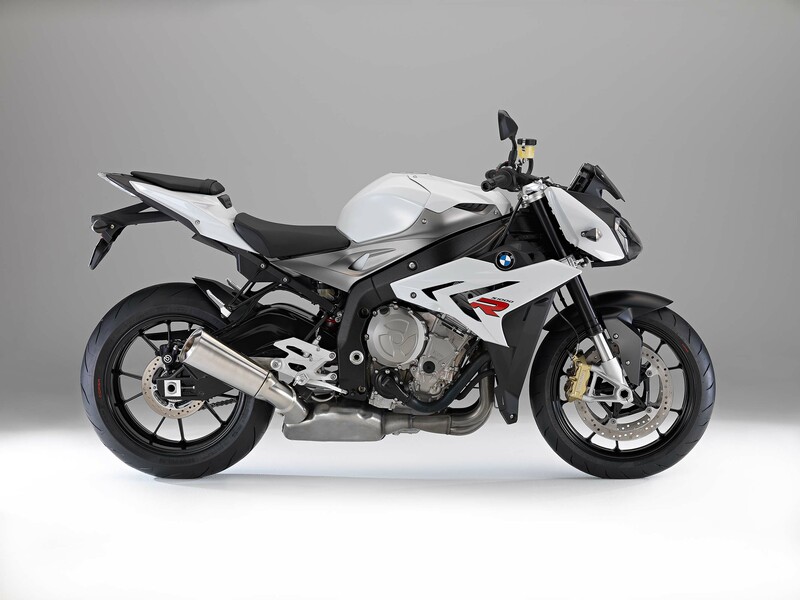 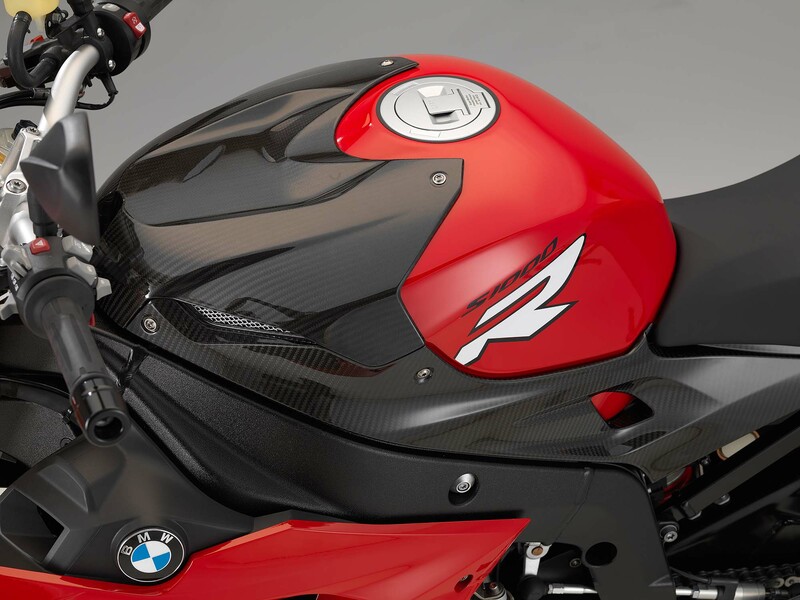 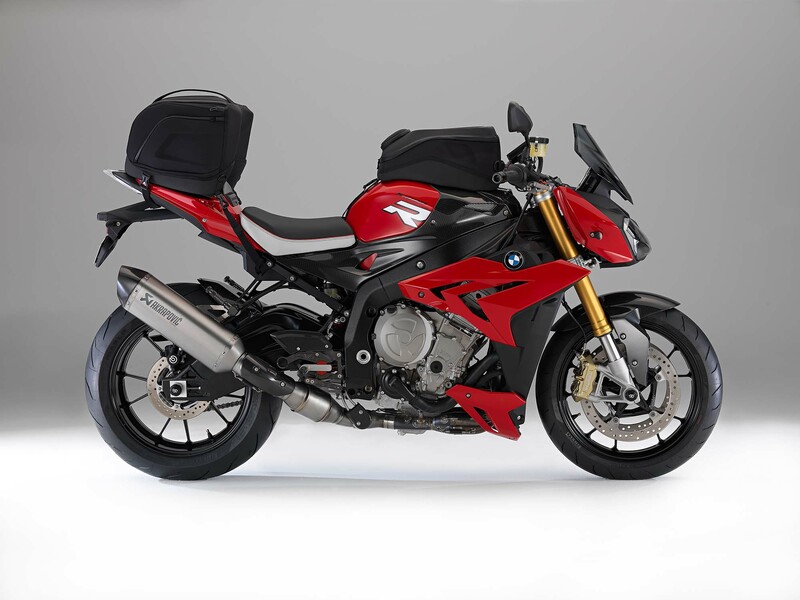 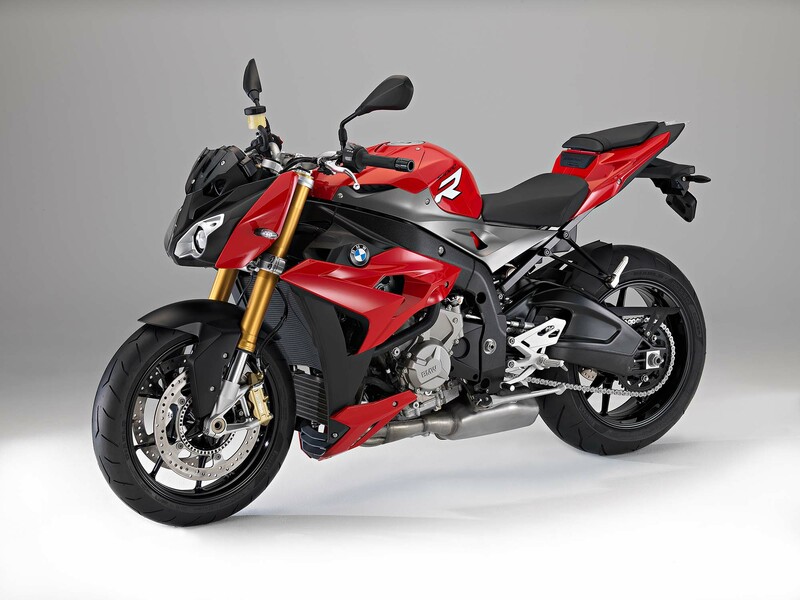 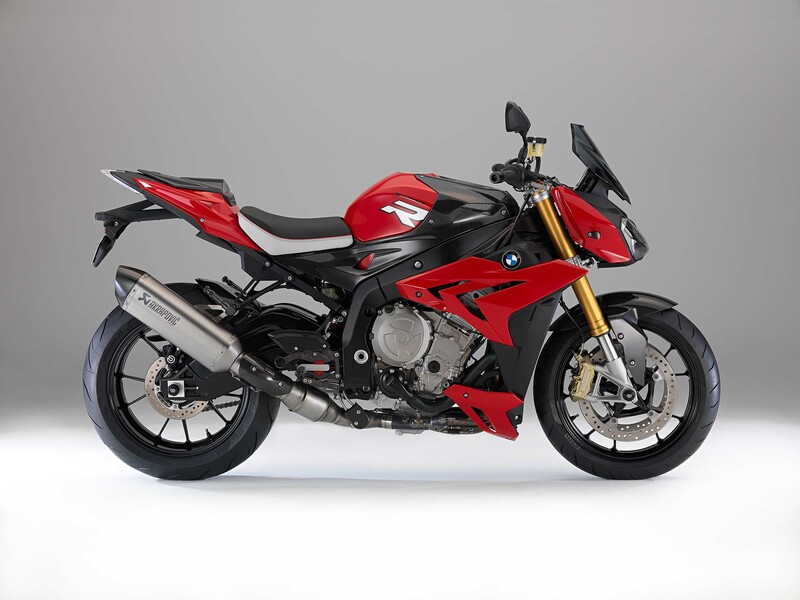 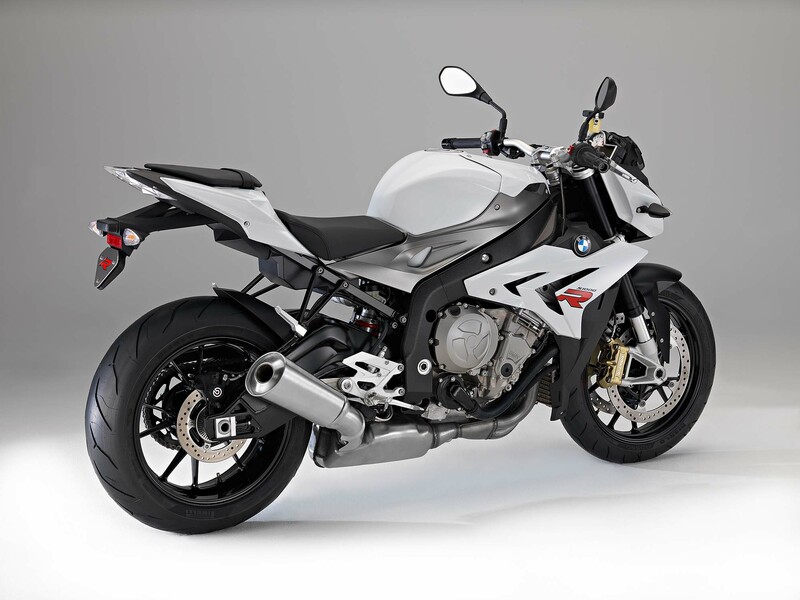 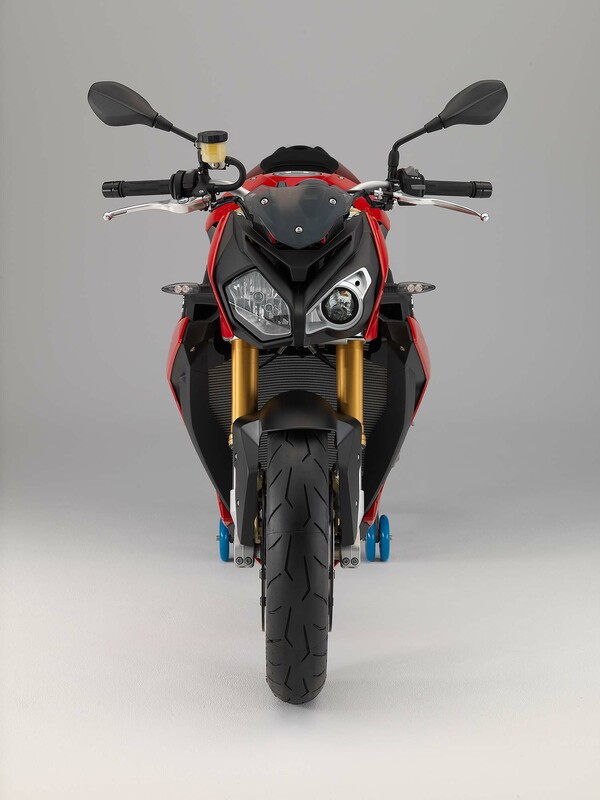 The 2014 BMW S1000R is available in non-metallic Racing Red, metallic Frozen Dark Blue, and non-metallic Light White liveries, and will be available in March/April 2014. 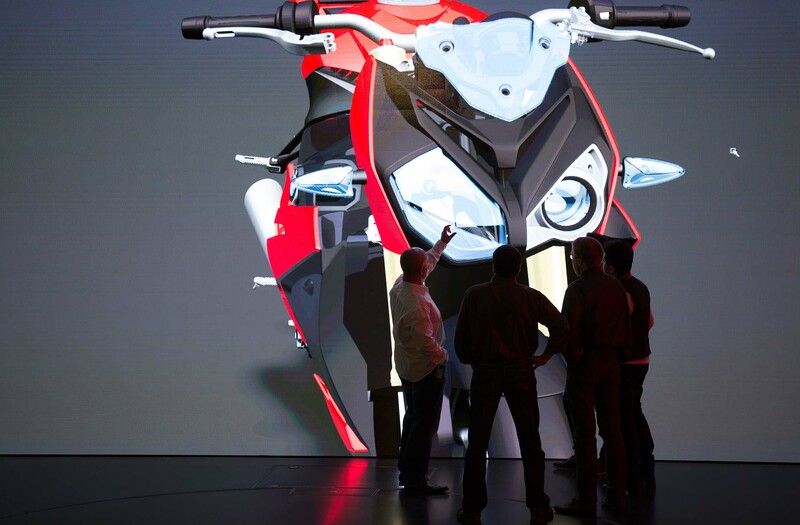 No word on pricing just yet.